You will find pictures by searching with English or German keywords (use ue, oe, ae for ü, ö, ä) at the International website or on request. For following countries licenses (rights of use) are only available at VISUM for Germany, Redux Pictures for USA, Eyevine for United Kingdom, Studio X for France, APA for Austria and LUZ for Italy. 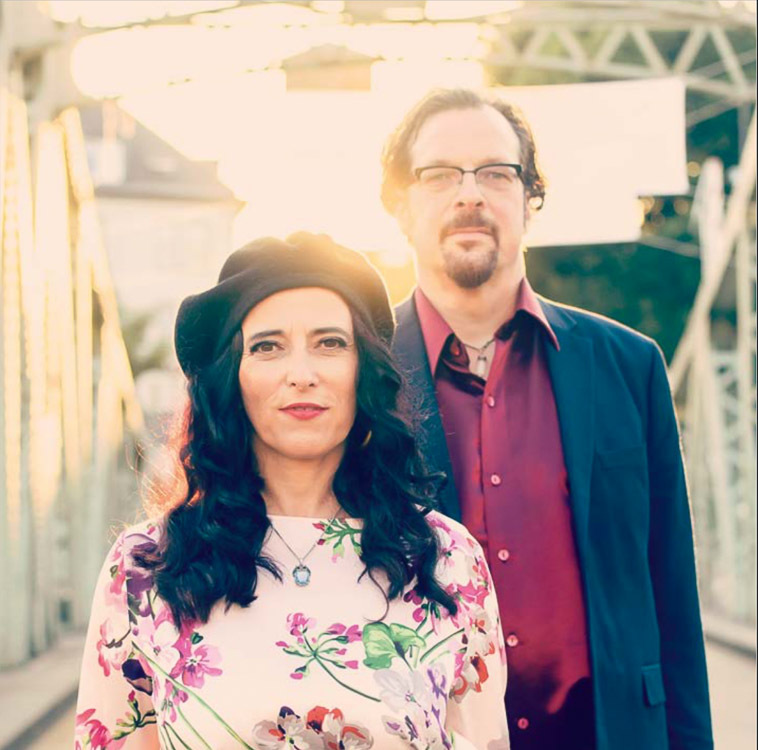 For the new CD of the Cologne based duo Martina Gassman and Frank Wingold "Bis auf den Grund" the photographs were taken in the south of Cologne. 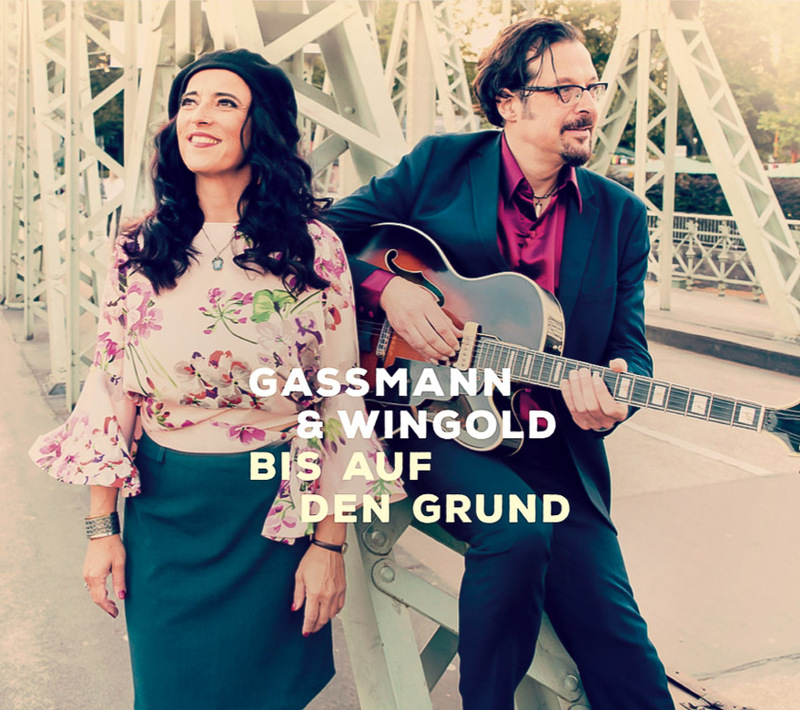 Samples of the impressive music can be found on the website of Gassmann & Wingold. 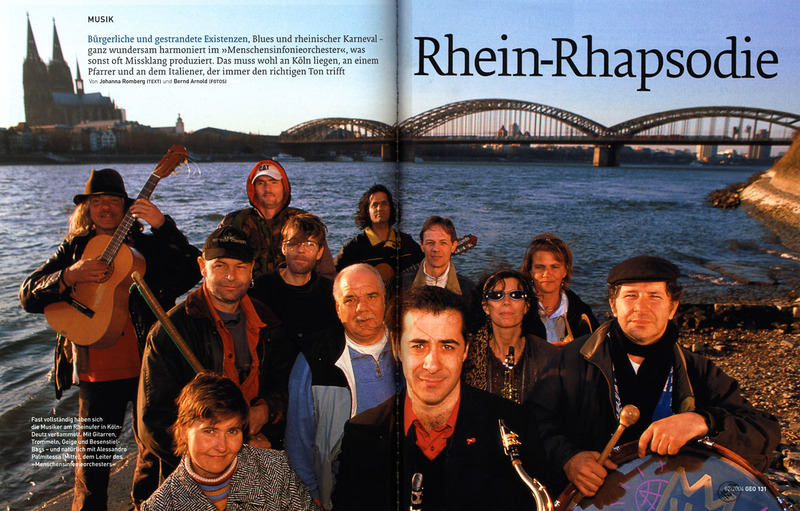 The series "Immigrants - Whitsun people in the new land" was first published in the magazine ZEITmagazin 1989. 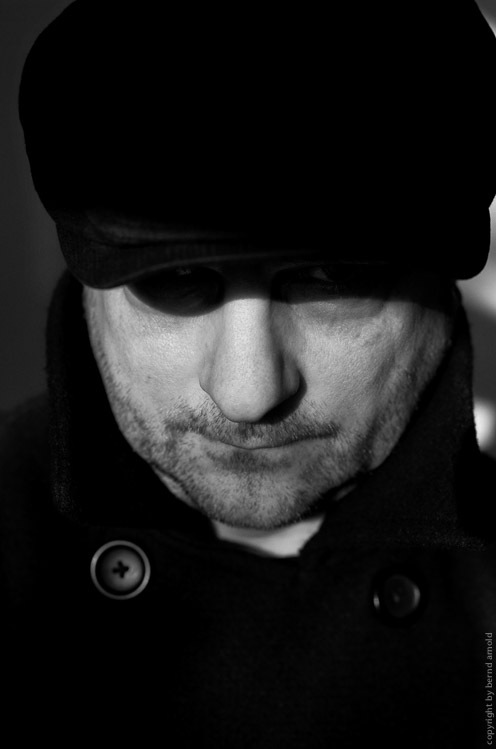 The photographs are now part of PIXXELCULT. Poster for the new presentation of the project in the Historisches Museum Saar in Saarbrücken, Germany. 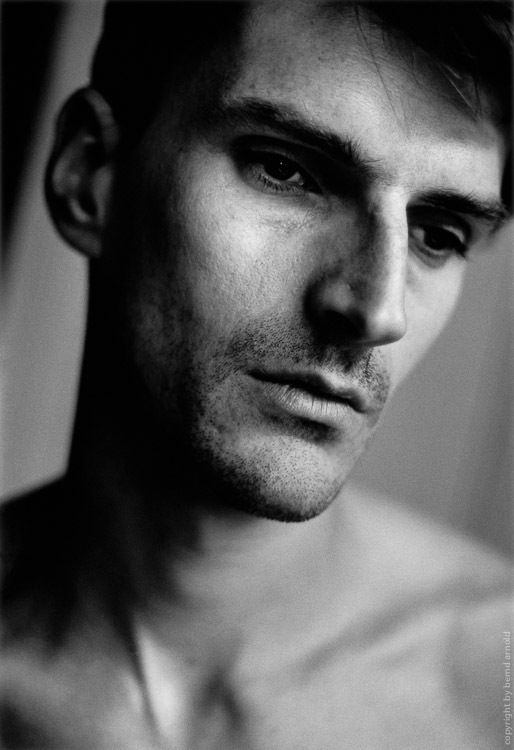 As part of a commissioned work for the portrait series XI the photograph for Danijel Stanic, was created in Hamburg and Frankfurt, Germany. Some photographs of DAS KÖLNER HEIL (Cologne Salvation) are exhibitied in the group show "I Grande Maestri" Nov 16, 2017 till Feb 18, 2018 in Complesso Del Vittoriano, Rome, Italy. 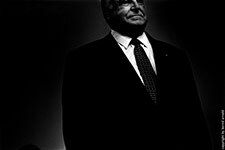 A photograph from the series Rituals of Election Campaigns was published in the German magazine Spiegel Chronik in an obituary to Helmut Kohl. 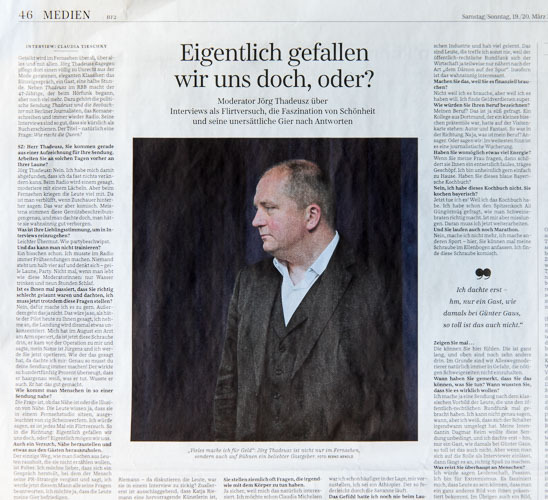 In assignment photographed for the German daily newspaper taz a portraiture of Sven Heuchert in Siegburg. 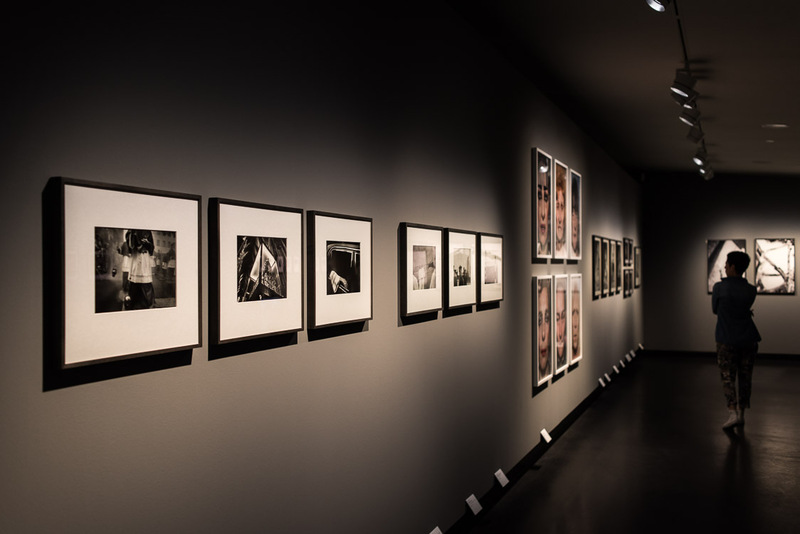 "The exhibition thus provides a stylistic history of the medium, running the gamut from the classic modern age to the post-modern diversity of the present day, from New Vision via "la photographie humaniste" to fashion photography, from "subjective photography" via author photography to street photography and contemporary art photography." 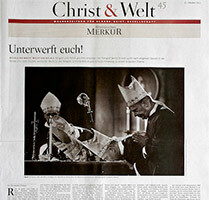 At the Art Fair "art Karlsruhe", Germany are shown photo graphs of the series WAHL KAMPF RITUAL. In focus galerie, hall 1, stand U04. 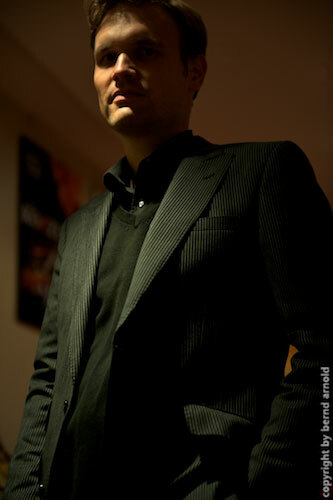 Corporate portraits and staging with the employees of the European IT Company. 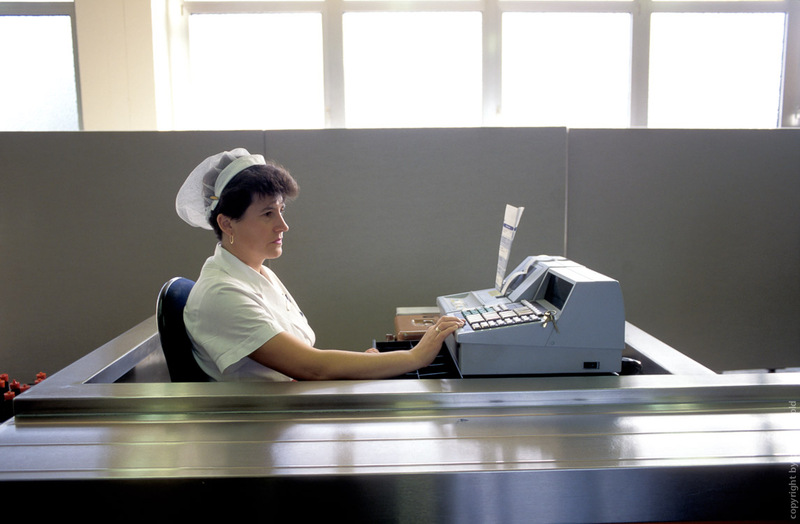 The Image brochures and website of Computacenter are partial photographed. Here you will see the German part. The exhibition explores the ambivalent mutual effects between the river and the image in the light of photography. The show, curated by Christoph Schaden, brings together more than 60 noteworthy European photographers... For example Boris Becker, Robert Capa, Henri Cartier-Bresson, Chargesheimer, Hermann Claasen, Robert Häusser, Heinz Held, Candida Höfer, Barbara Klemm, Herbert List, Ute Mahler, Lee Miller, Max Regenberg, Albert Renger-Patzsch, Gerhard Richter, August Sander, Wilhelm Schürmann, Wolfgang Tillmans, Eusebius Wirdeier, Wolfgang Zurborn and many others. 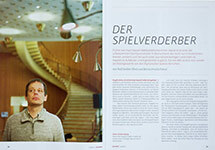 A catalogue is published: LVR-LandesMuseum Bonn, Christoph Schaden (Hrsg. 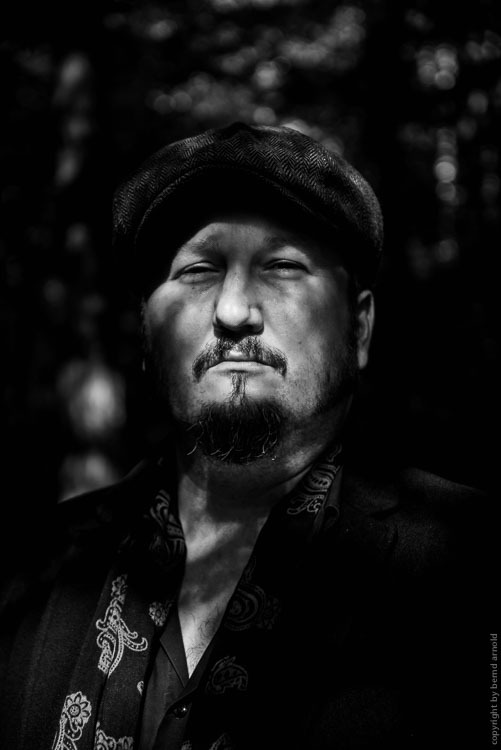 ), "bilderstrom. Der Rhein und die Fotografie 2016-1853"
The Rhine—sixty photographic positions between testimony and myth. Since the beginning of pictorial production, the Rhine, Europe's most celebrates river, has been the subject of numerous paintings, drawings, and engravings. By and large, these images of the Rhine create and model collective notions that influence our perception of the river to this very day, alternating between testimony and myth, between cliché and art. 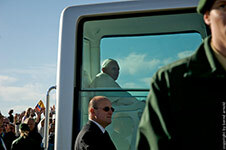 "This summer St. Peter's Abbey will be the first venue in a European tour of the Eyes Wide Open! exhibition. By way of more than 350 vintage photos visitors will be able to discover the rich history of 100 years of Leica photography." Jan Böhmermann and Recep Tayyip Erdogan in conflict about a full dish of various kinds of fruits (satura). 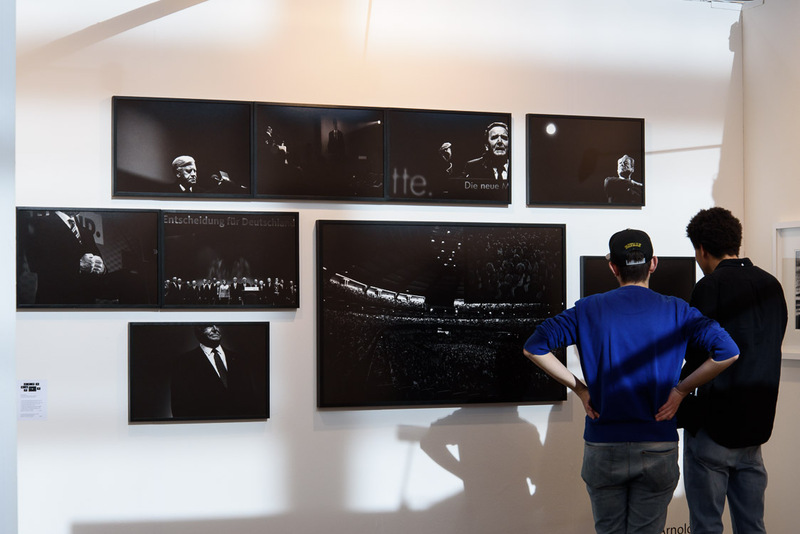 Some photographs/vintages of DAS KÖLNER HEIL (Cologne Salvation) are still up to February 13, 2016 exhibited in EYES WIDE OPEN - 100 YEARS OF LEICA PHOTOGRAPHY at OSTLICHT in Vienna, Austria. EYES WIDE OPEN! illuminates the history of Leica photography from the very beginnings to the present day. 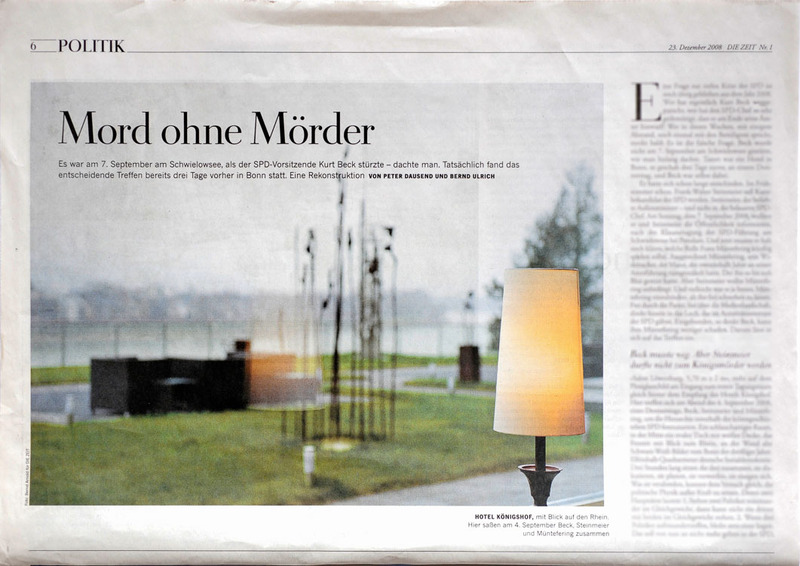 In Vienna the touring exhibition will be jointly presented by WestLicht. Museum for Photography and OstLicht. Gallery for Photography. 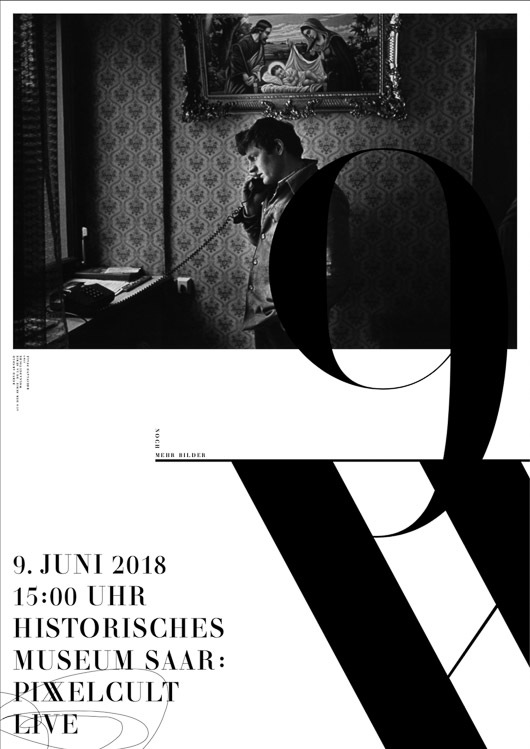 WestLicht will house the classical sections of the exhibition, with works from Rodchenko to Cartier-Bresson, accompanied by selected camera models, magzines and photobooks. OstLicht will display the more contemporary part, with photographs by Bernd Arnold, Julia Baier, Mark Cohen, Alberto Garcia-Alix, Bruce Gilden, Jing Huang, Rudi Meisel, Susan Meiselas, Jeff Mermelstein, Paulo Nozolino, Paolo Roversi, Tom Wood and many more. All works presented at OstLicht are available for purchase. 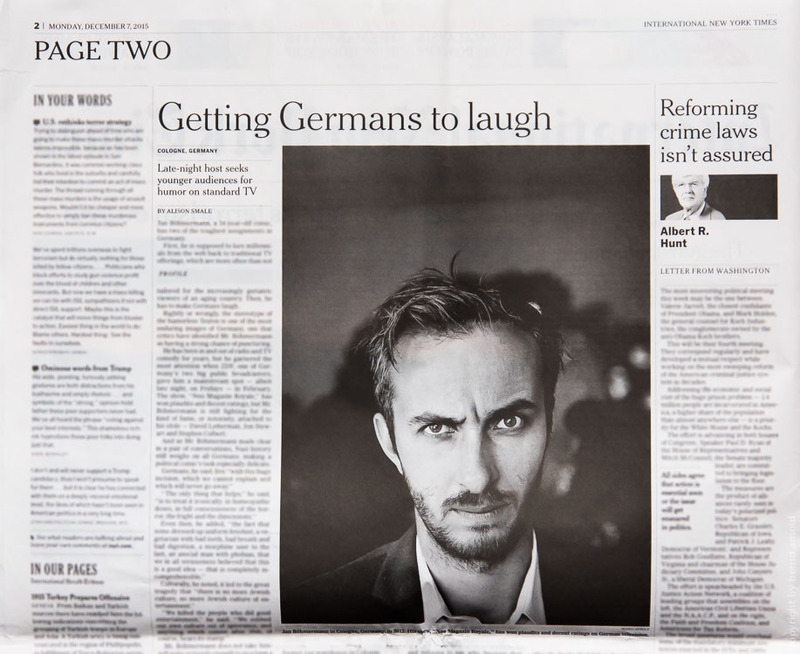 A Portrait about Jan Böhmermann was published in the New York Times International. 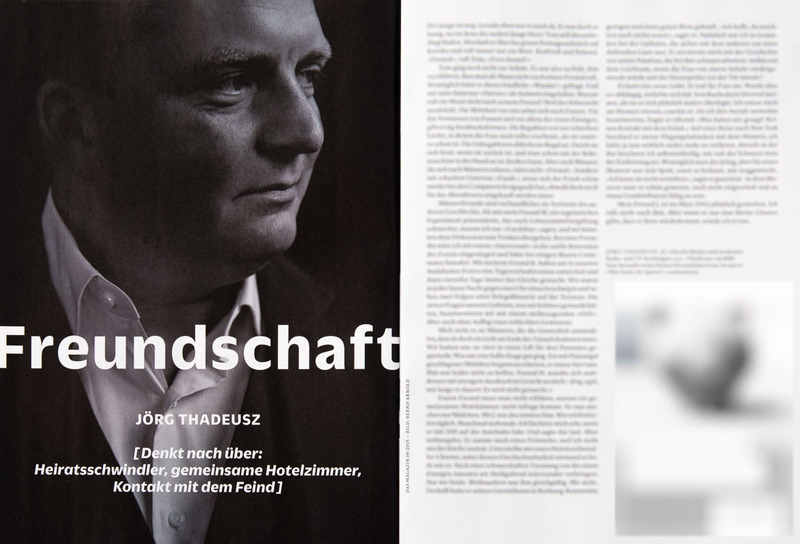 A portrait about Jörg Thadeusz was published in Das Magazin. In the special about "Men" he wrote about friendship. 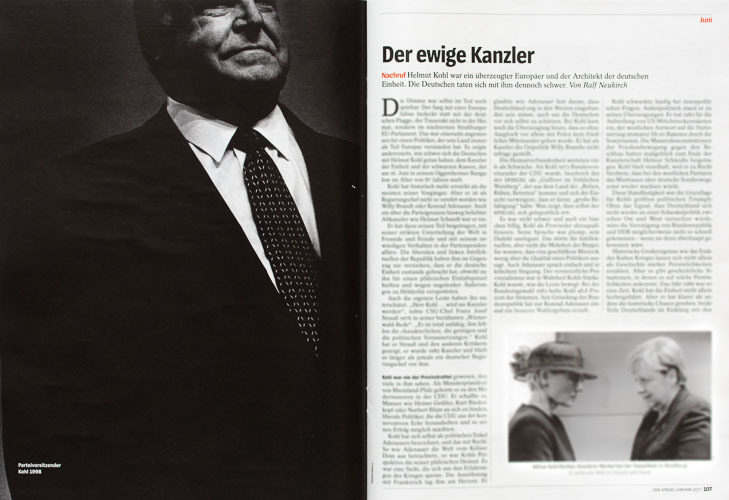 A portrait about Constantin Schreiber was published in the magazine GQ. 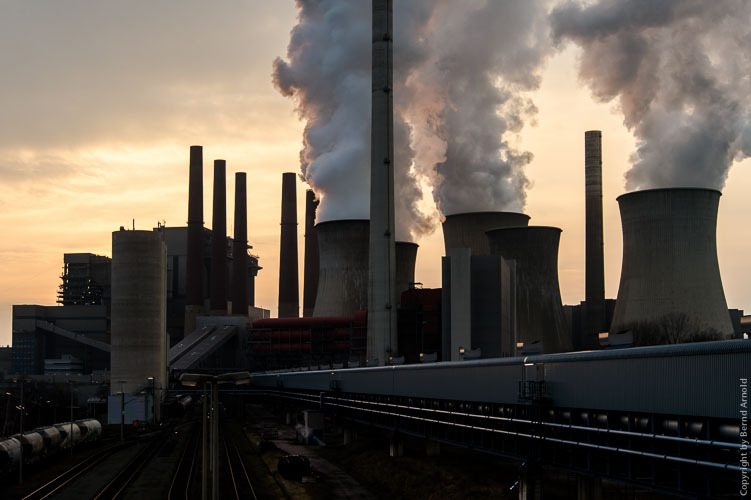 "Coal fired power plants are the biggest source of man made CO2 emissions. 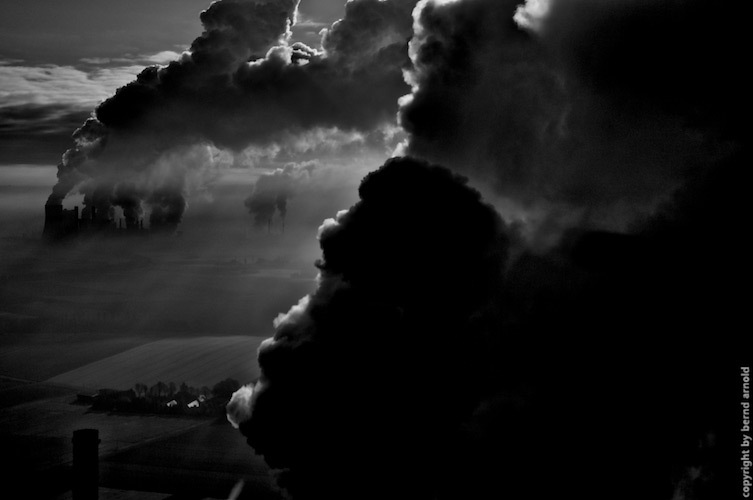 This makes coal energy the single greatest threat facing our climate." 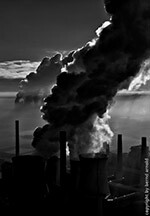 A documentation for Greenpeace about the brown coal mining area Garzweiler II near Cologne in Germany. Many villages have to disappear in order to get the brown coal. More Information about the CO2 emissions at Greenpeace International. The exhibition illuminates various aspects of recent small-format photography, from journalistic strategies to documentary approaches and free artistic positions. Among other artists whose work will be shown are Nobuyoshi Araki, Jane Evelyn Atwood, Bruno Barbey, René Burri, Henri Cartier-Bresson, Bruce Davidson, Michel Vanden Eeckhoudt, William Eggleston, Ralph Gibson, F.C. 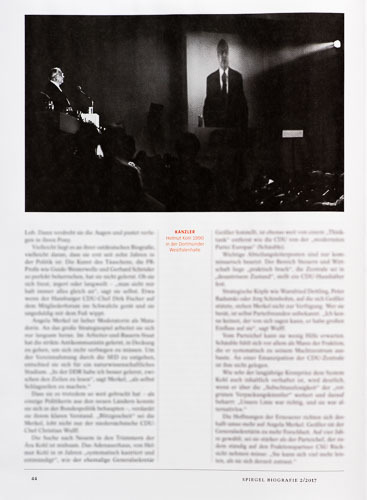 Gundlach, Elisabeth Hase, Fred Herzog, Barbara Klemm, Herbert List, Paula Luttringer, Susan Meiselas, Ulrich Mack, Joel Meyerowitz, Paolo Roversi, Jeanloup Sieff, Christer Strömholm, Kai Wiedenhöfer, Paul Wolff and Tom Wood. More than 200 photographs, supplemented by documentary material, including journals, magazines, books, advertisements, brochures, and camera prototypes, are recount the history of 35mm photography from its beginnings to the present day. The exhibition, which is curated by Hans-Michael Koetzle, follows the course of technological change and photographic history. More Information! 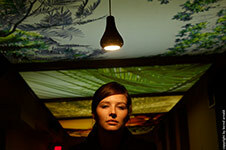 As a part of the international Photoscene Cologne shows the Kunstverein 68elf e.V. in the Museum Zündorfer Wehrturm about 40 photographic positions. The exhibition examines the relationship of today's people to work in the mirror of photography in documentary as well as in artistic form. 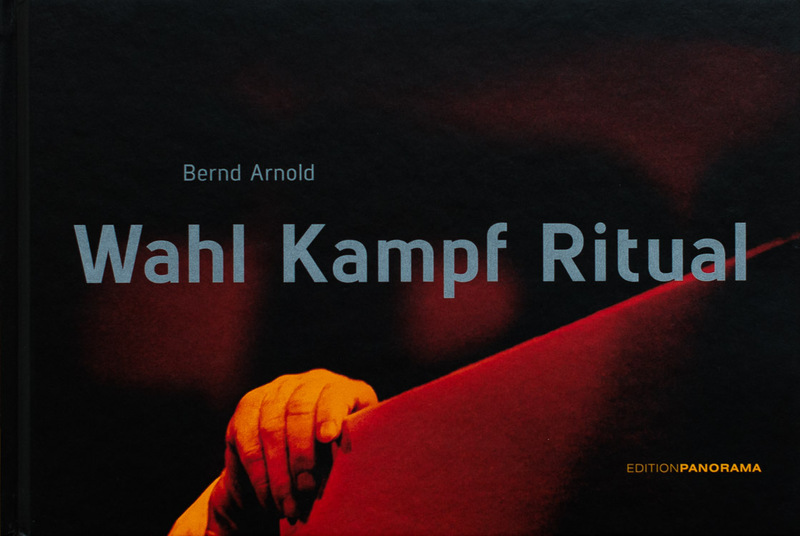 From the series of WAHL KAMPF RITUAL four photographs will be shown. 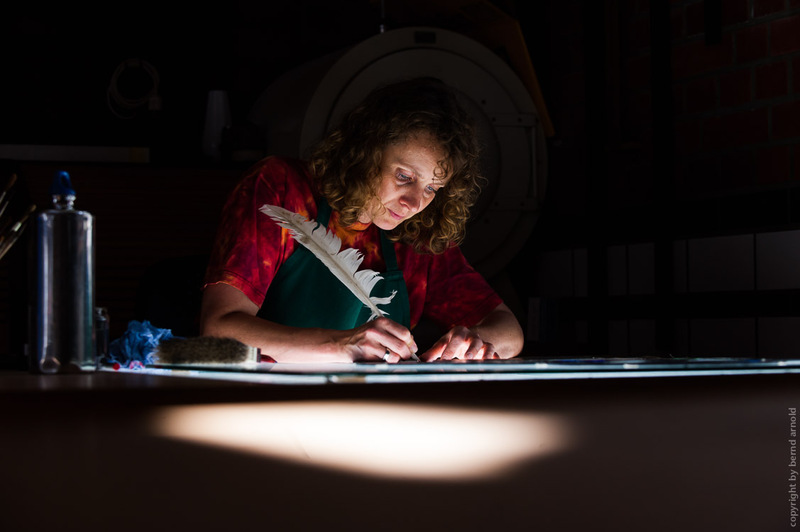 Special event on September 20, 2014: Anke Reitz, curator and Conservator of the family of man in the castle of Clervaux, Luxembourg, speaks about "Edward Steichen's curation - today an option?" followed by a discussion. Vintage Prints, Licenses, Right Managments and Downloads International are available via photo archive. The Lord - Recep Tayyip Erdogan in Cologne, Germany. 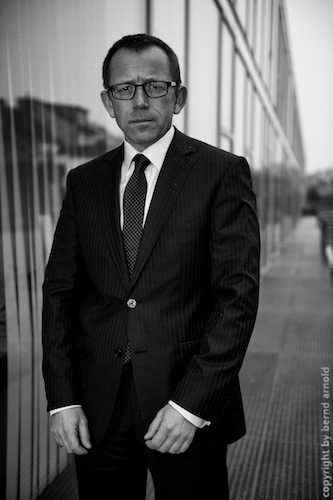 Portrait of Jörg Thadeusz - anchorman of RBB. 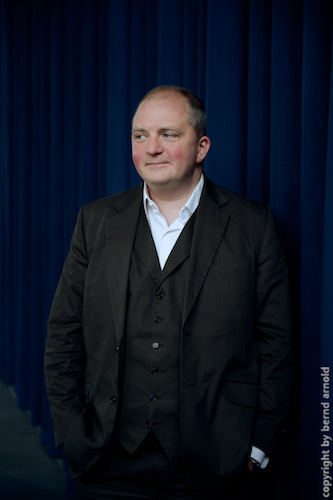 Prof. Dr. Christoph Schaden will give a lecture with the theme: „Image, Power, Rituals. Notes on a precarious reception and sphere of activity of the present". "Unterwerft euch!" October 31, 2013, pages 1-5. 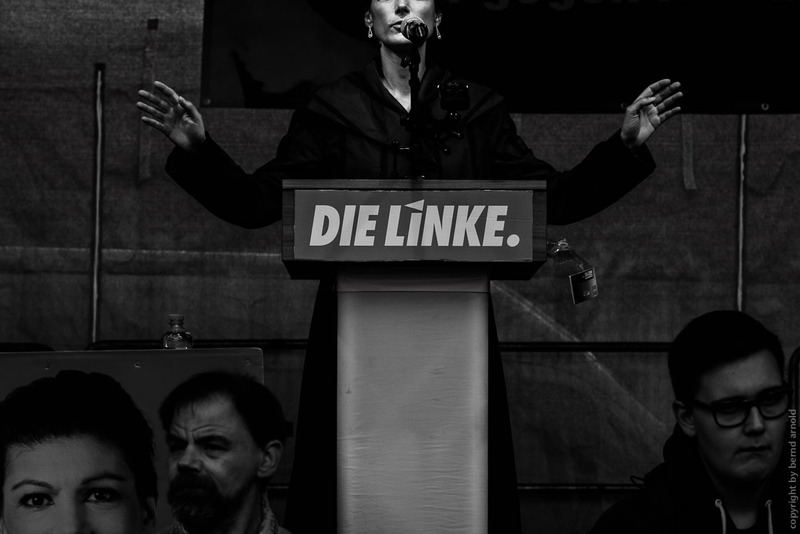 This monograph shows the rituals of German election campaigns since 1984. 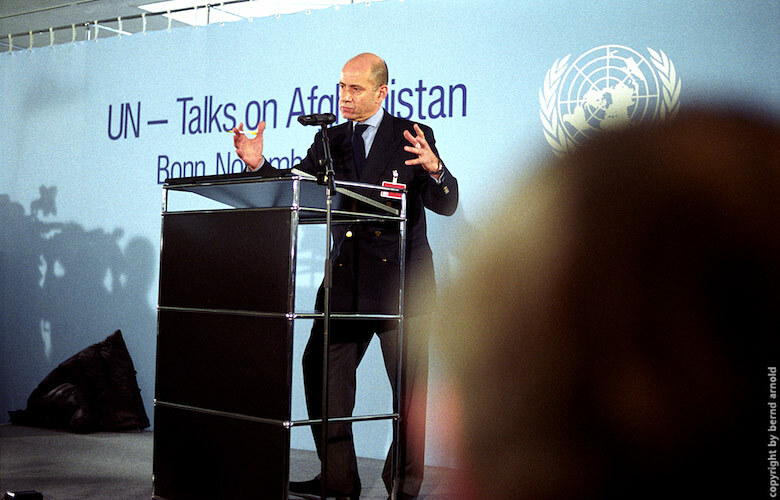 Eight elections of the years 1984 to 2013 are featured in 113 photographs. 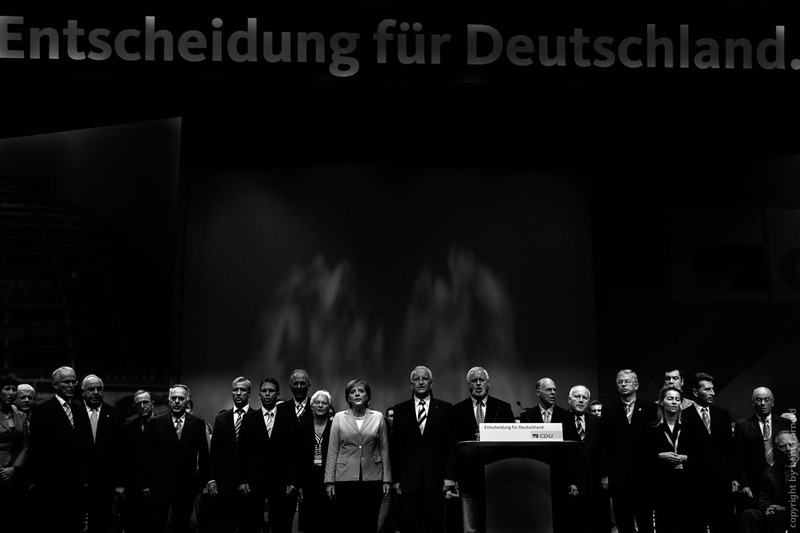 The chancellors are Willy Brandt, Helmut Schmidt, Helmut Kohl, Gerhard Schröder, Angela Merkel and the challengers are Franz Josef Strauss, Hans Jochen Vogel, Johannes Rau, Oskar Lafontaine, Rudolf Scharping, Edmund Stoiber, Frank Walter Steinmeier and Peer Steinbrück. 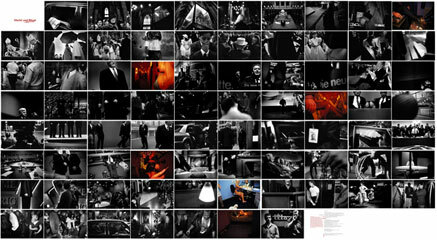 113 photographs (Duotone) and 10 illustrations. 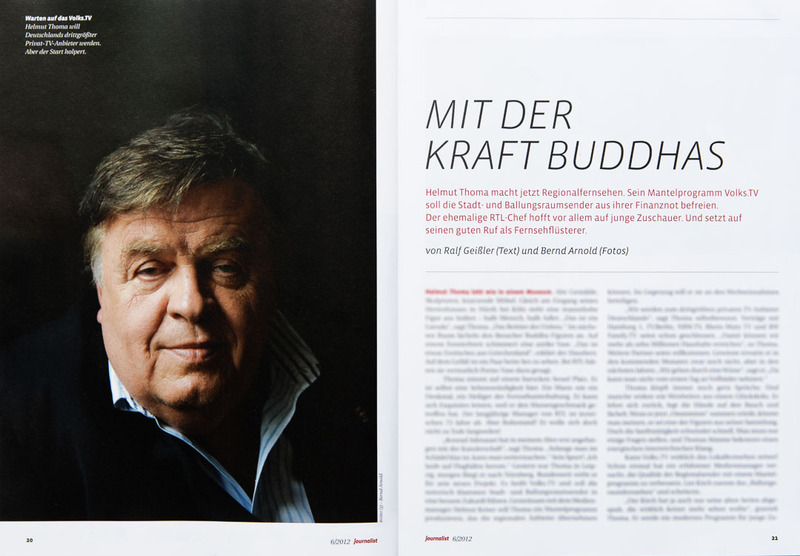 Published by Edition Panorama, Mannheim 2013. 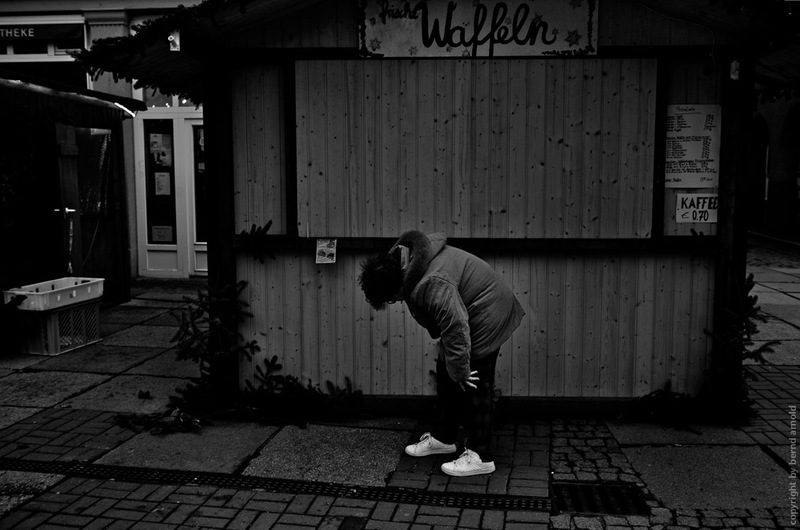 In this year a small part of the serie "Wahlkampfrituale" will be exhibited at the photofestival Wiesbadener Fototage. 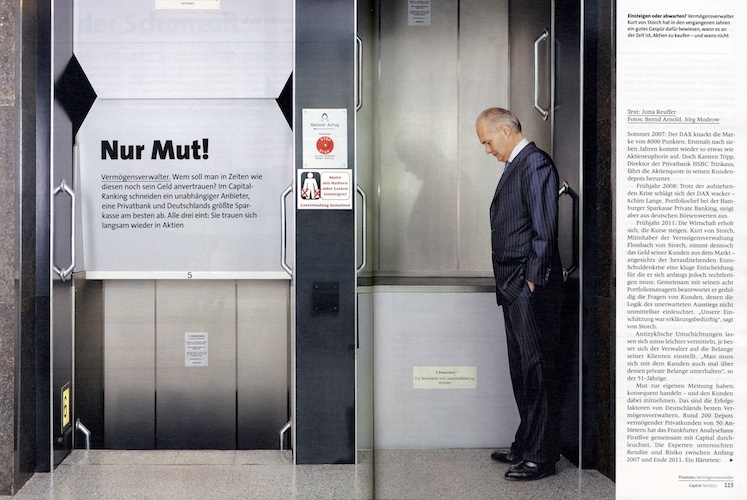 The election campaigns of the German Bundestag are photographed since 1986. 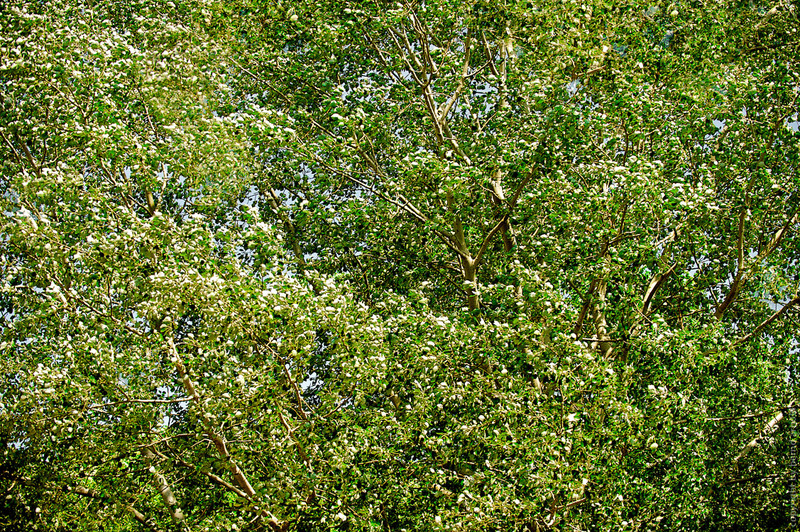 A monograph will be published in Autumn 2013. More information will come up later. 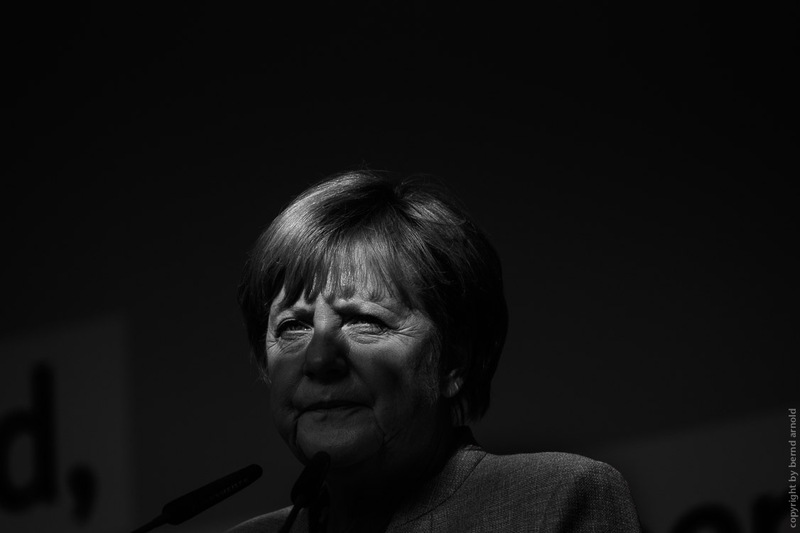 On the left side chancellor Angela Merkel, 2013. Kunsthaus Wiesbaden, Schulberg 10 and at other places in Wiesbaden. 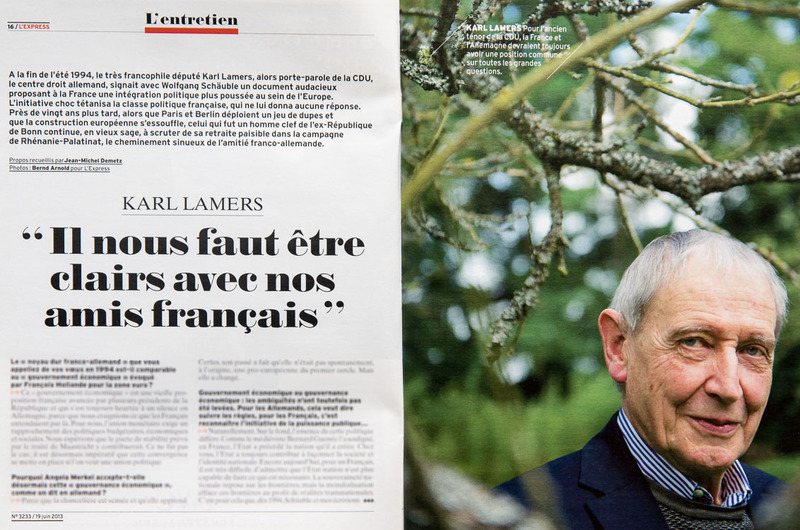 The portraits of the German politician Larl Lamers (r.) are photographed in assignment for the French magazine L'Express. The topic was the relationship between France and Germany. Anchorman Tedros Teclebhran is a star at YouTube. 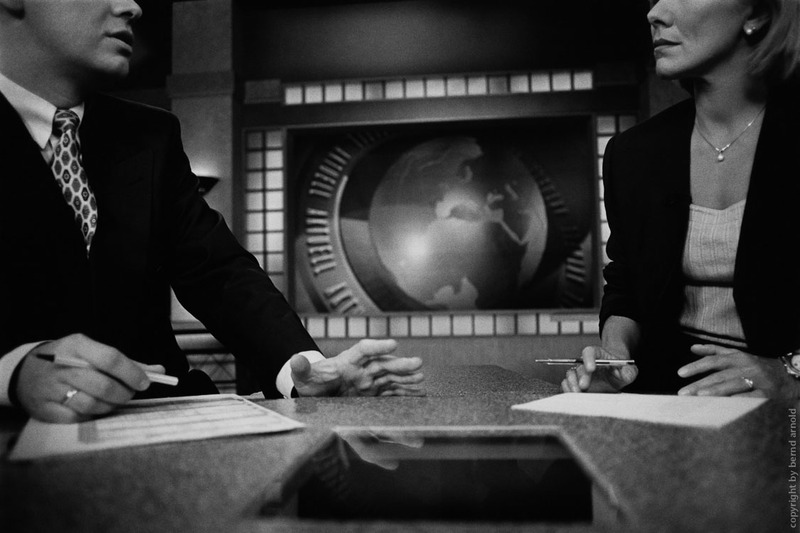 Now he starting his career as an anchorman in television ZDFneo. 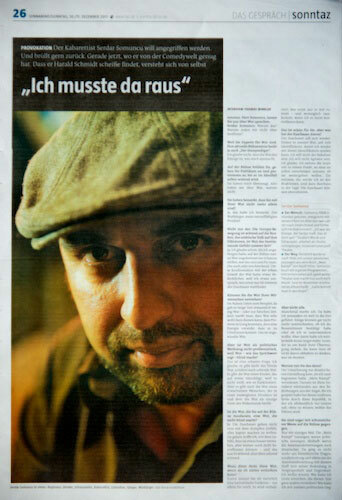 A portrait for the German daily newspaper taz. 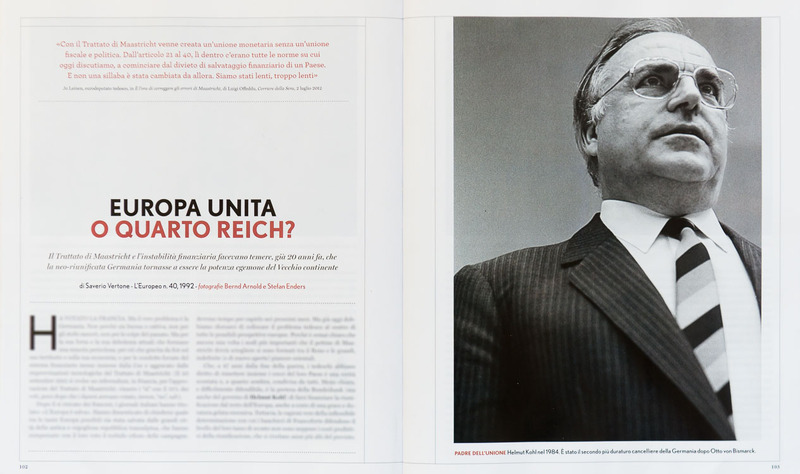 Two images of former German chancellor Helmut Kohl from the "serie Rituals of election campaigns" are published in the italian magazine L'Europeo. 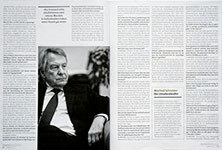 11/2012, p.102,150. 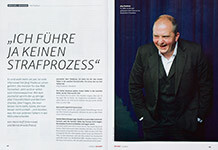 Portrait Titanic chief editor Leo Fischer (l.) for magazine Journalist 10/2012, p. 38-44. 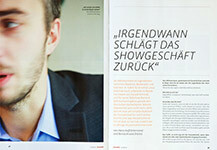 Anchorman Jan Böhmermann (b.) 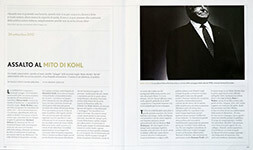 for magazine Journalist 11/2012, p. 48-52. 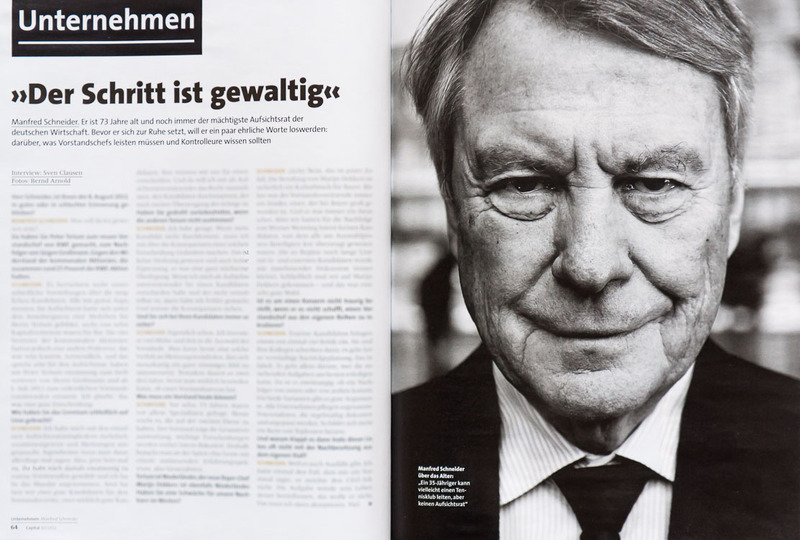 Portrait of Helmut Thoma (l.), the former manager of the television group RTL for magazine Journalist 6/2012, p. 20-25. 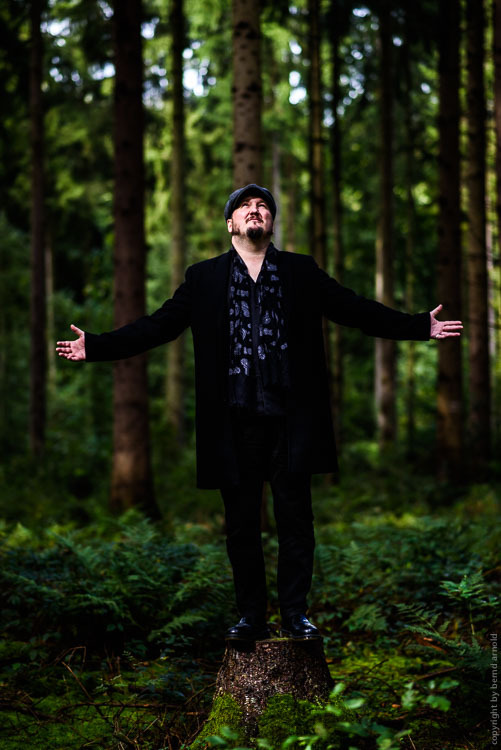 Musician Thomas D. (r.) for the daily newspaper Taz. Illustration about workaholics in journalism. 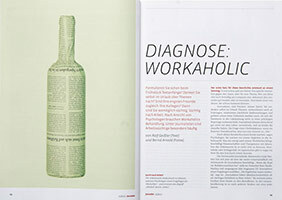 Diagnose Workaholic. 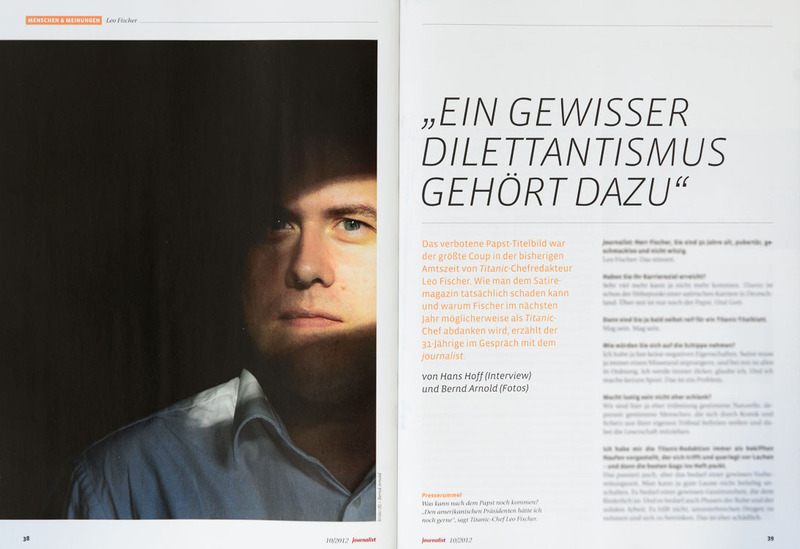 Published in magazine Journalist 5/2012, p. 01, 14-20.
the daily newspaper taz Jan 12, 2011.
and doping expert Hajo Seppelt in Journalist 12/2011, p. 30-35. 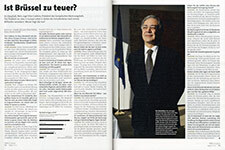 Portrait of Michel Friedmann in Journalist 1/2012, p. 50-55.
in the magazine Capital 2/2012, p. 64-68. 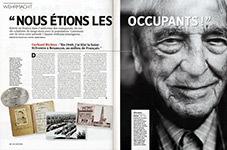 On assignment for the French magazine GEO HISTOIRE, 9/2011, p. 24-31. 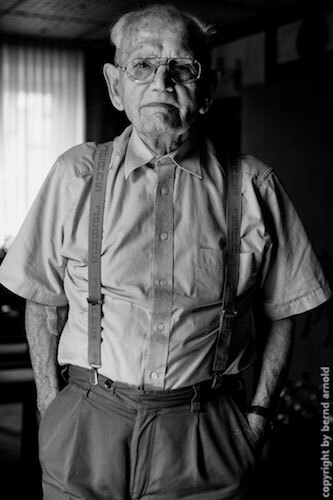 Portraits of German veterans of worldwar II. 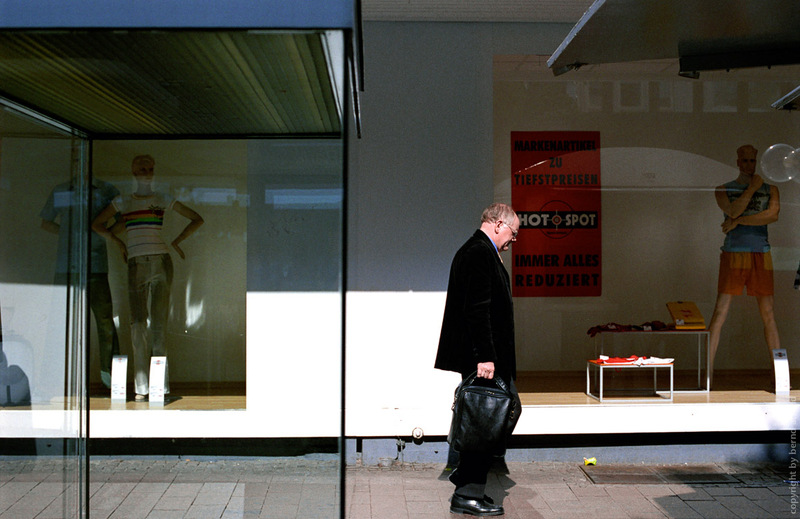 Steidl Verlag published a book about photographers books about Germany of the years 1915-2009. There are described about 287 books. 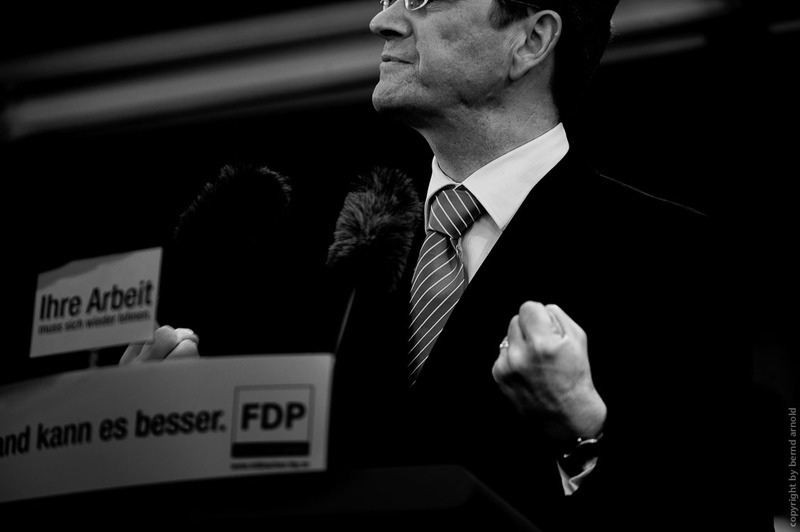 One of them is Das Kölner Heil. 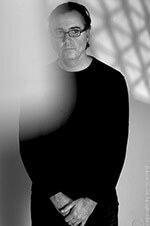 Grafikdesign Winfried Heininger. Publisher Christoph und Markus Schaden. 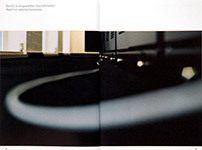 Schaden Publishing House, Cologne, 1997.
in Kunsthaus Rhenania, Cologne, Germany. 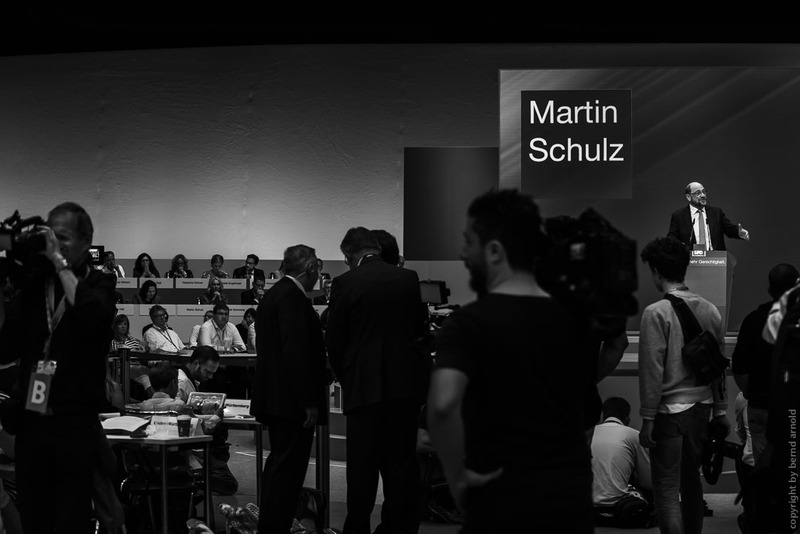 The election campaigns for the Bundestag are an ideal occasion to explore strategies of production and self-production across all political parties. The years of 1984-2009 will be exhibited for the first time. Open: September 9-25, 2011, Wed-Fri 3-7pm and Sat-Sun 1-6pm. Kunsthaus Rhenania, Bayenstrasse 28, 50678 Köln. 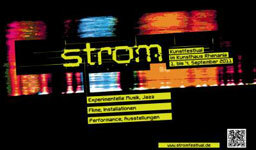 The Art-Festival STROM of Kunsthaus Rhenania in Cologne (Germany) is a show of contemporary art. 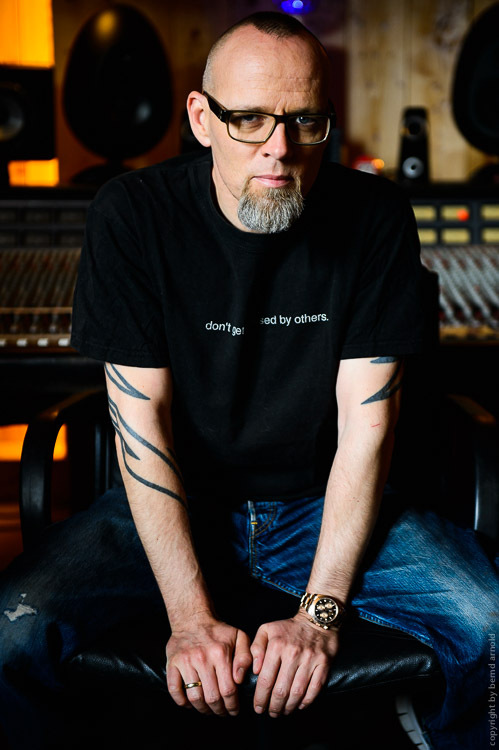 STROM is a cooperation with guest artists. 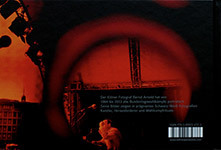 The programm included installations, experiemtal music, performance multimedia, film painting and photography. 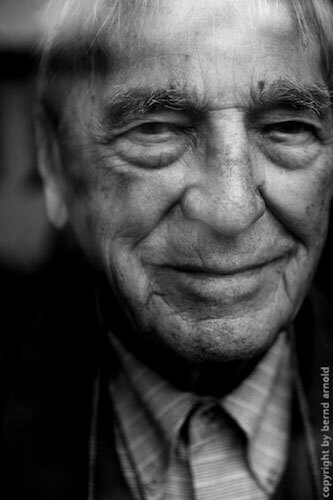 The part of photography will show the topic "Portraits of artist" Photographs from Dirk Reinartz, Rudi Meisel, Bernd Arnold (Portraitserie XIII - see right: Artist of Kunsthaus Rhenania), Michael Oreal, Attila Kleb, Csaba Peter Racozcy, Dirk Gebhardt und Markus Lokai. Kunsthaus Rhenania, Bayenstrasse 28, 50678 Cologne, Germany. 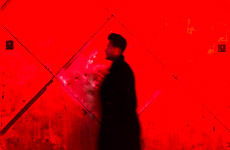 The serie Das Kölner Heil and Nacht im Milieu - Night on Demimonde will be exhibited at the International Photofestival in Szécsény in Hungary. 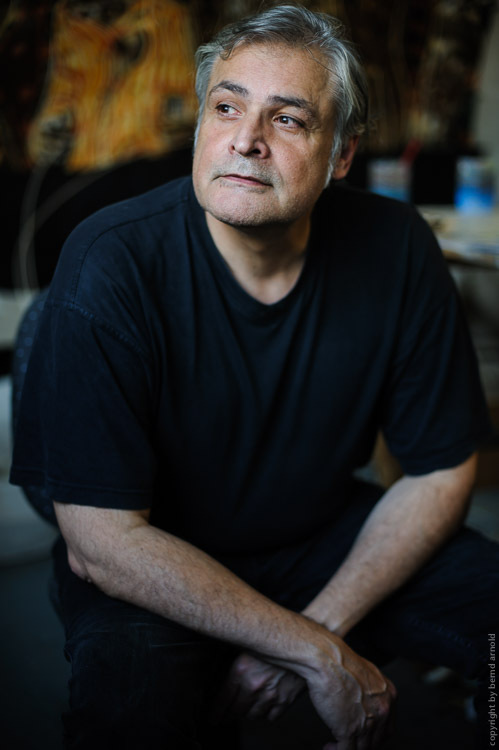 Other exhibiting artists are Attila Kleb, G.M.B. Abash, Anna Fabricius, Stan Raucher, Gyula Zarand and others. Wahlkampfrituale (Rituals of Election Campaigns) in GIM Galerie im Medienhaven. A catalogue will be published (num/limited 100). GIM Galerie im Medienhaven, Humboldtstr. 6, 28203 Bremen, Germany. Open: April 26 to June 17, 2011, Mon-Fri 9am-5pm. Some photographs of Power and Ritual will be exhibited at the Art Festival Kunstfrühling 2011. Kunstfrühling 2011, Gleishalle am Güterbahnhof, Beim Handelsmuseum 9, 28195 Bremen. Open: May 6 to June 5, 2011. Daily 11am-8pm. Nadia Budde (author), Joachim Schoenecker (musician), David Berger (author), Stephen Prina (artist) and Robert Cibis (filmmaker). 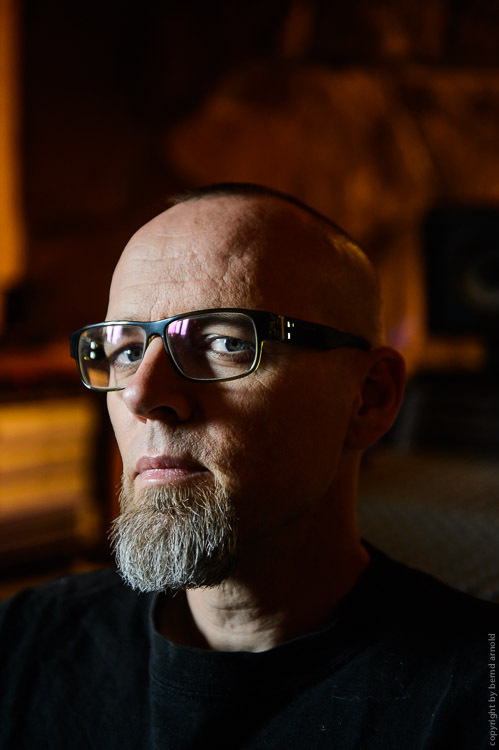 The artists are Bernd Arnold, Dirk Gebhardt, David Klammer, Markus Lokai, Michael Oreal, Heiko Specht and Wolfgang Zurborn. 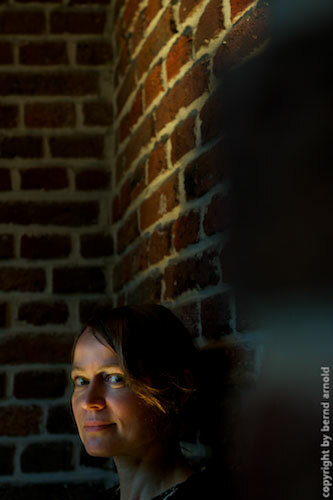 Fri Sept 24, 8pm: Kristina Brodersen/Tobias Weindorf Quartett with Kristina Brodersen (sax), Tobias Weindorf (p), Christian Ramond (bass) and Hendrik Soll (dr). Opening: September 21, 2011, 8pm. Open:Sept. 21-26, 2011, Wed-Sat: 3-9pm, Sun: 11am-3pm. Kunsthaus Rhenania, Bayenstr. 28, 50678 Köln, Germany. 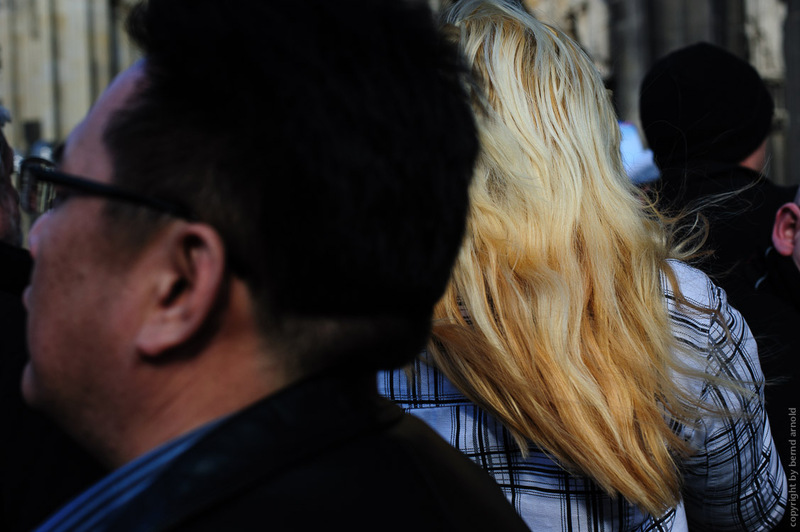 On May 7, 2010 travelled 432 photographers throughout Germany. It was an ordinary day withoutany big news. 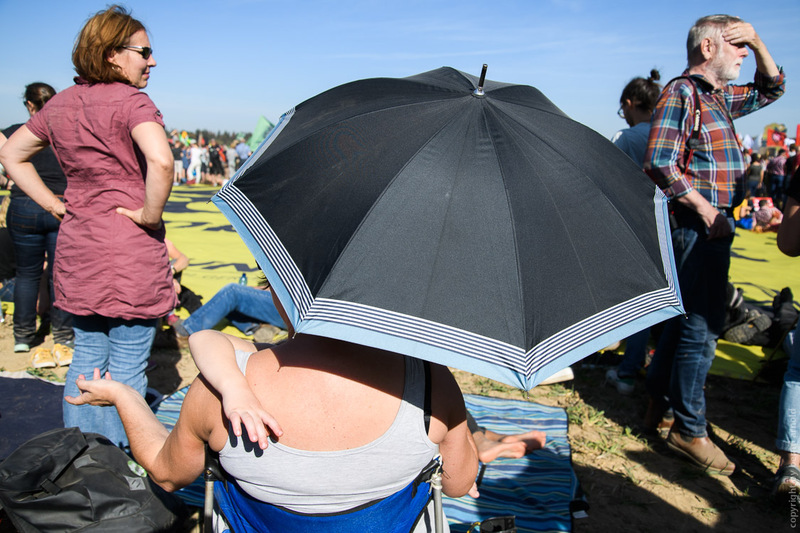 A politician fought himself through the election campaign rally two days before the regional elections in North Rhine Westphalia. 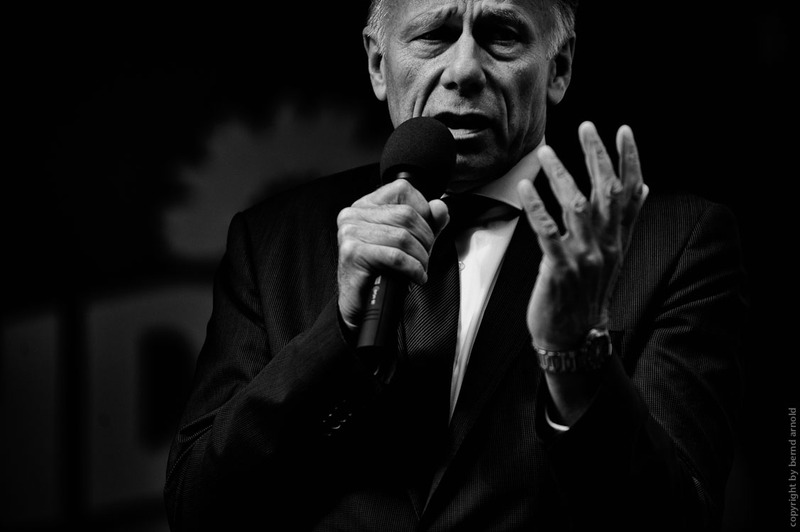 It is one of the last passionate speeches of Oskar Lafontaine as a party leader. In the pouring rain, the respond is not entirely enthusiastic. 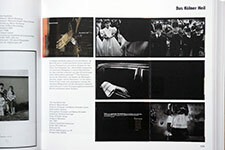 with works of Bianca Patricia, Bernd Arnold (photographs of Das Kölner Heil), Patrik Budenz, Ralf Meyer and Frank Rothe. 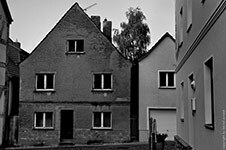 Filderstraße 44, 70771 LE-Musberg. 16.4.-30.5.2010. 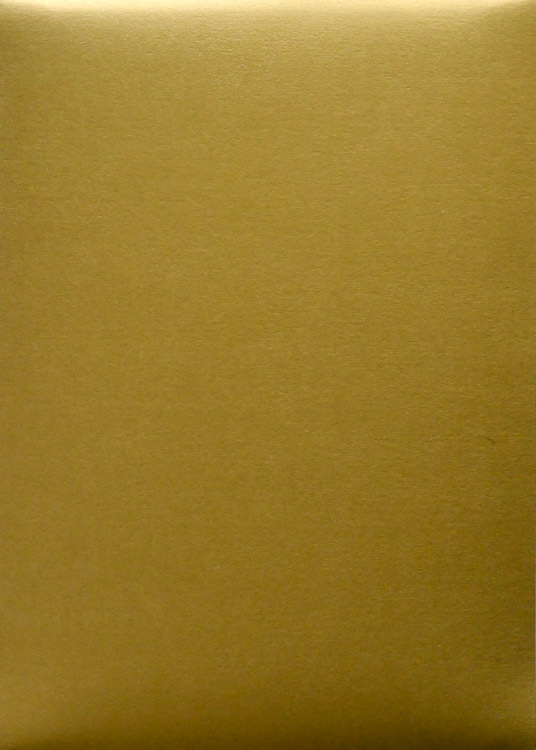 Take a look at the edition 'Sakrament und Sünde', published by Van der Grinten. 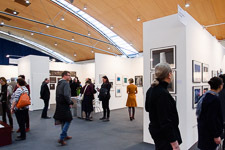 In the south of Cologne the studios of many artists will open all day long. Bernd Arnold shows some Vintage Prints of the 80'. Bayenstrasse 28, 50678 Köln, Open Sa 1.5 and Su 2.5.2010, 14-18h. Stages of the "Way of the Cross" 2010 a series of posters. 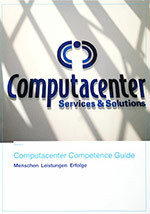 The broschure Computacenter Competence Guide is a portrait of one of the biggest IT Companies in Europe. 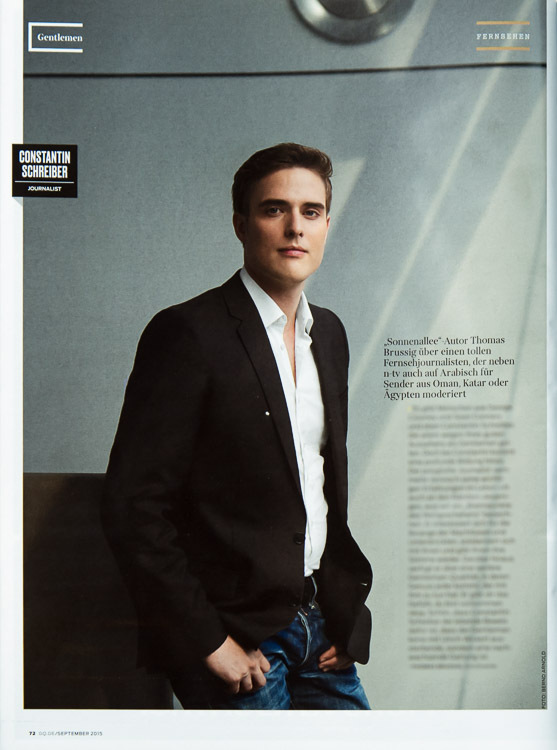 Also just published is a feature about the fashion company "Ernstings Family" for Financial Times Deutschland p. 6-11. Prints and Vintages are online available. 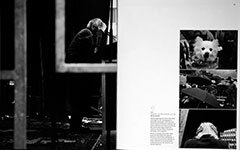 Follow the the link to find baryta fiber/base vintage prints developed by the artist during the years 1983-2006. Gallery Kudlek van der Grinten at the Paris Photo 09. 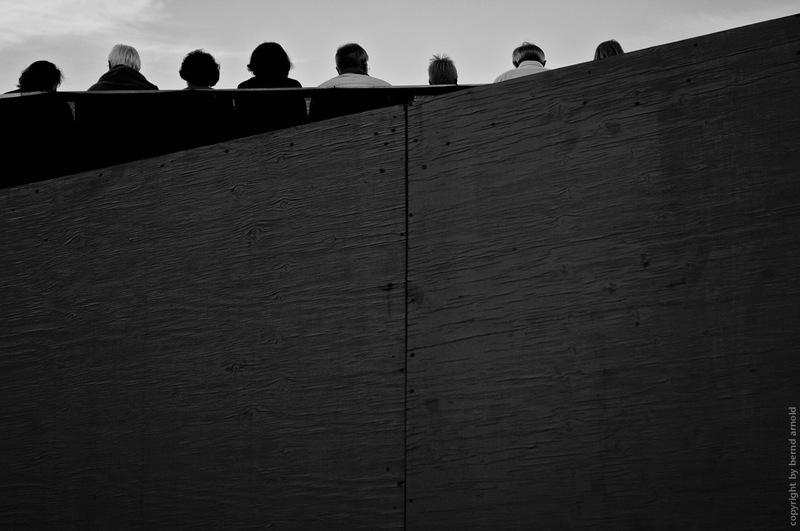 In the group show "NACHTS" the foto essay Black East will be exhibited for the first time. 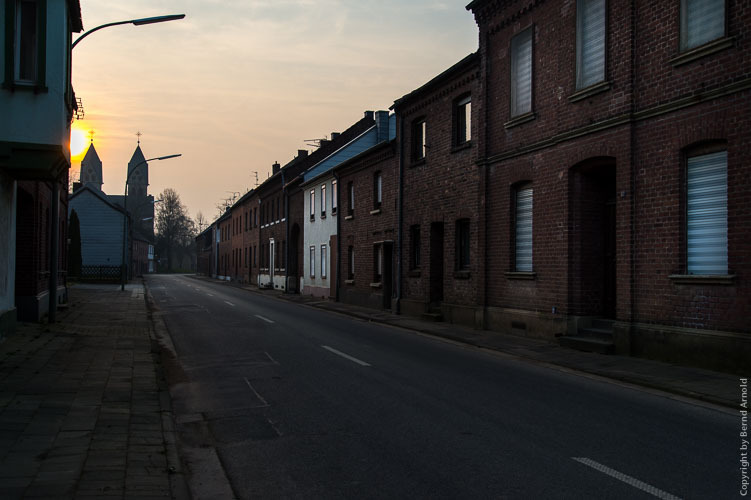 This story takes a dark view at the east German cityscapes. Work in progress. Kunsthaus Rhenania Bayenstr. 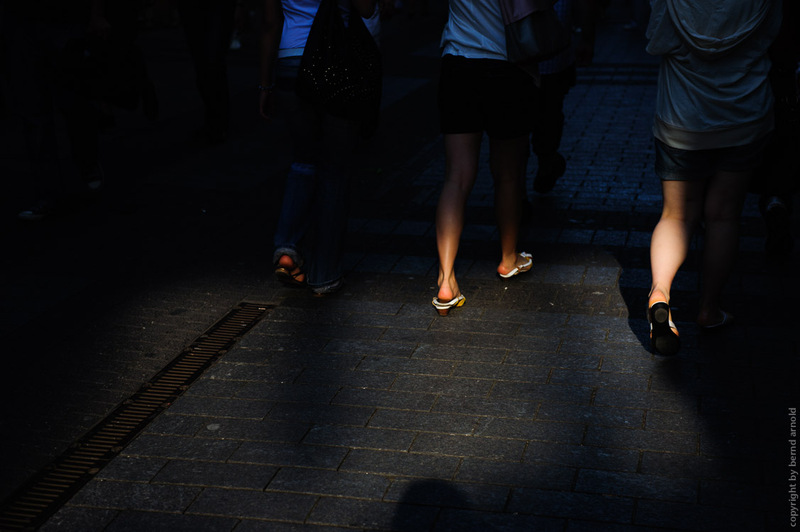 28, 50678 Cologne /Germany. Saturday All Night Long Open Museums in November 7, 2009. 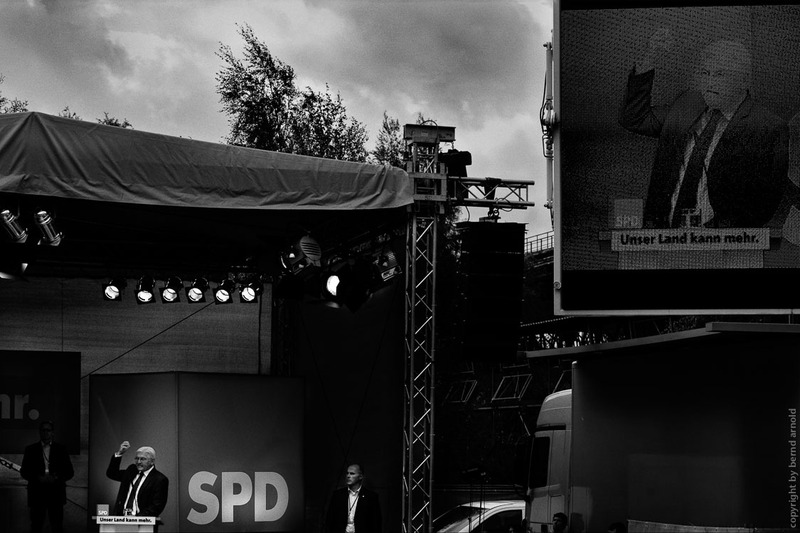 The election campaigns for the Bundestag are an ideal occasion to explore strategies of production and self-production across all political parties. In 1969 there were the first protests of homosexuals at Christopher Street in New York. The first CSD parade in Cologne took place in 1991 - with an audiance of only 500 people. Today came about 700.000 visitors to watch the biggest Christopher Street Day Parade in Germany. 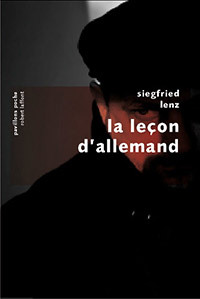 Bookcover of "German Lesson" from Siegfried Lenz. Published by Robert Laffont in France. 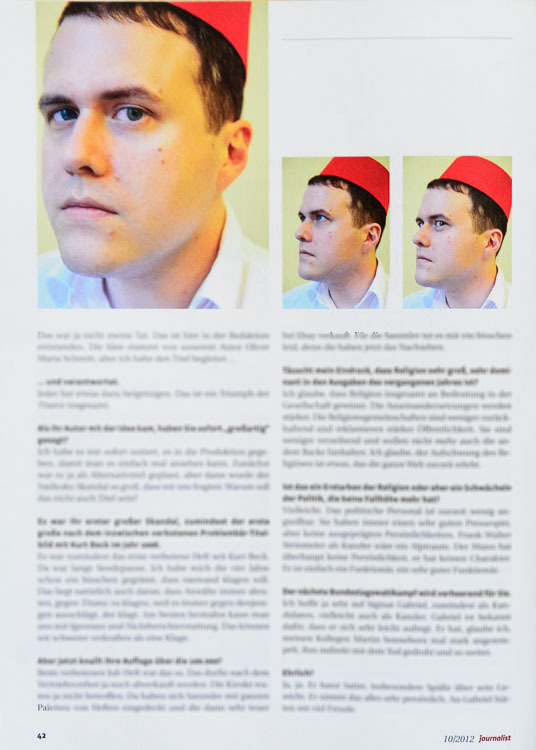 "Macht und Ritual" (Power and Ritual) is published in The Sonic Blog. 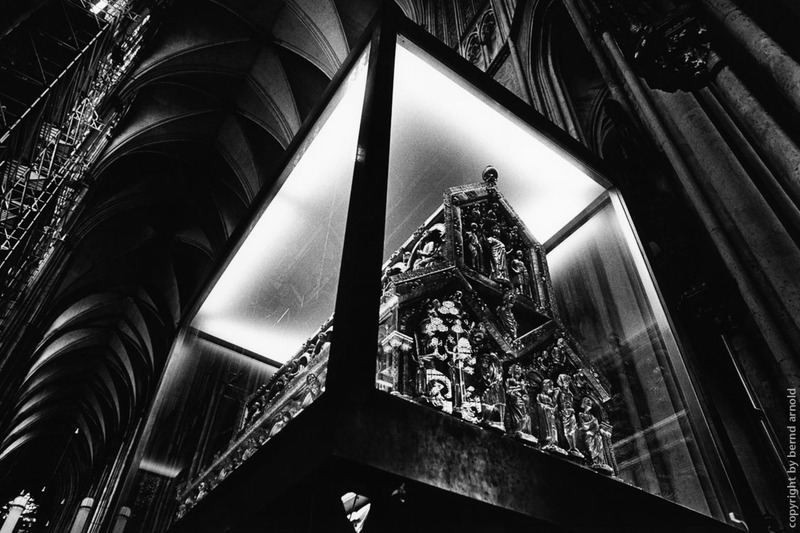 brochure about the making of the Apokalypse window in Cologne cathedral, sponsored by the bank Sal Oppenheim. 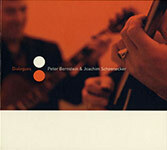 New CD Dialogue of the jazz guitarists Joachim Schoenecker and Peter Bernstein. 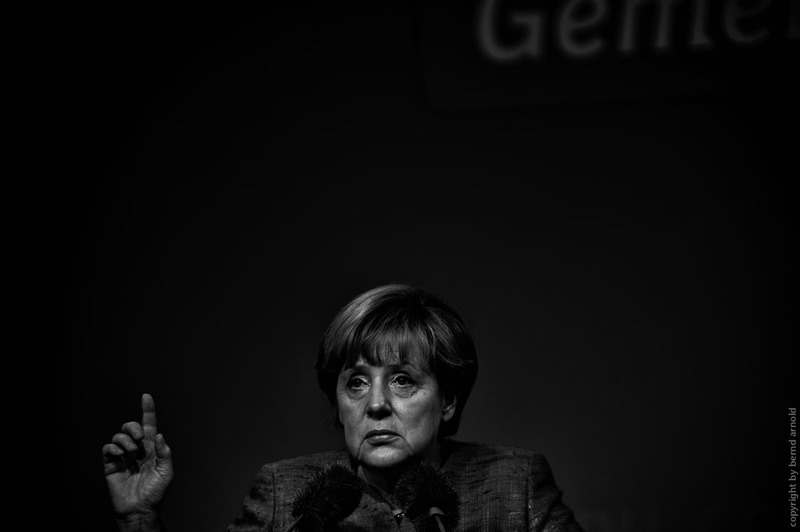 On assignment for DIE ZEIT. 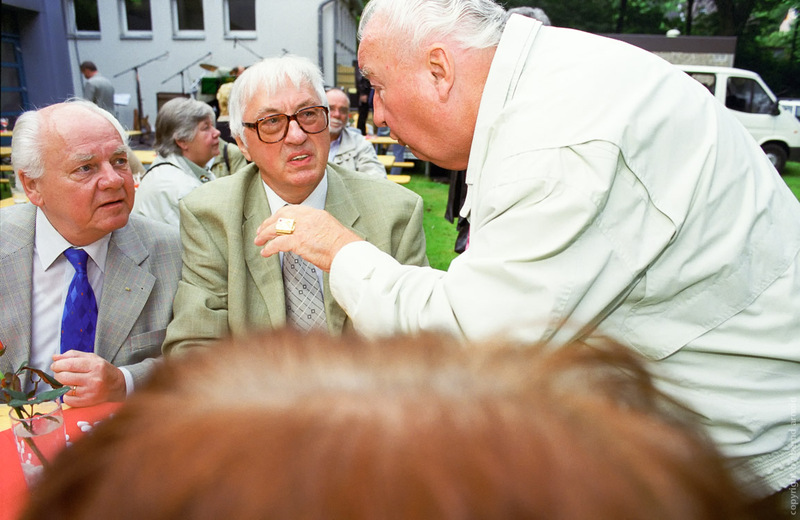 Scene of a negotiation between the politicians Kurt Beck, Franz Müntefering and Frank-Walter Steinmeier. 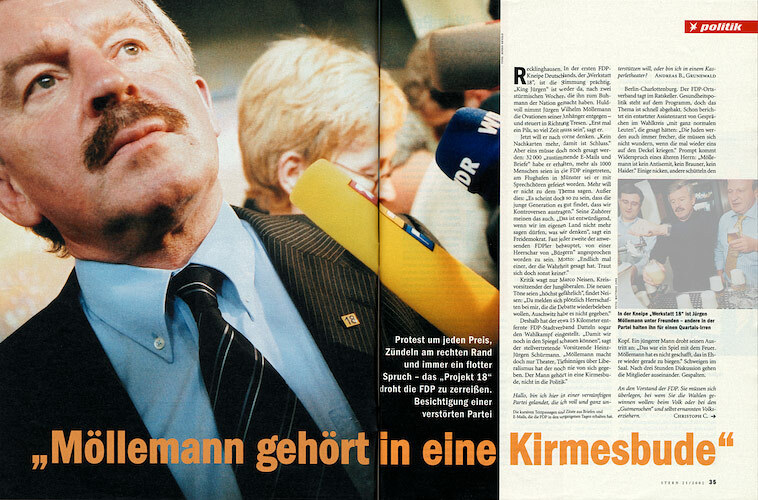 Two days later Kurt Beck was disposed and the german socialist party drifted into difficult times. 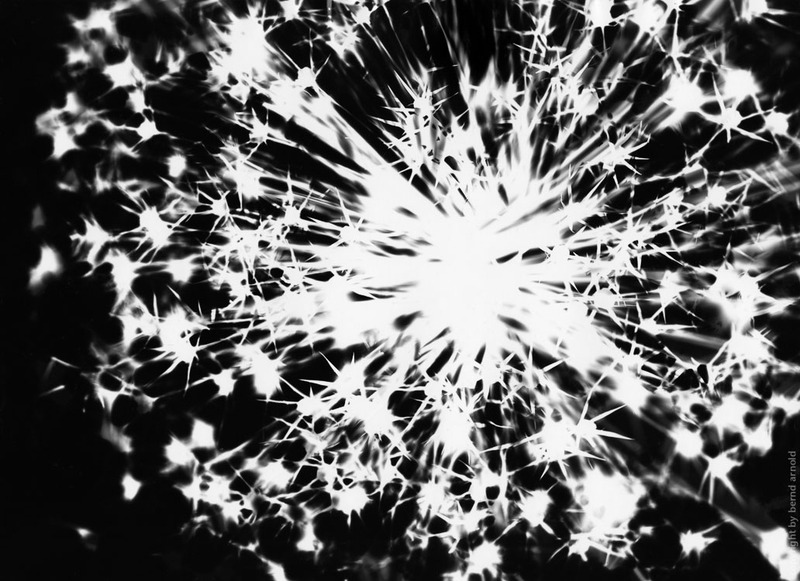 is the latest work of the cycle Digitalis. The group exhibition Variety Of Kinds will show the latest works of variuos artist in the hall of the Rhenania Arthouse. Bayenstr. 28, 50678 Cologne. The exhibition will open from Nov 22 until Dec 5, 2008. Nov 21, 2008, 7pm Vernissage; Mon-Fri 5-8pm; Sat-Sun 11am - 6pm Finissage Dec 5, 7pm with Christian Saettele Quartett feat. Brigitta Lorenz. 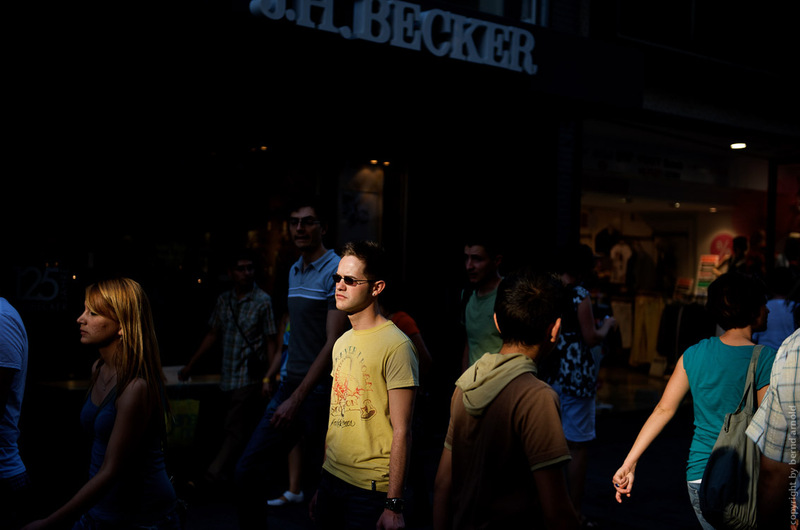 New Works exhibition during the Photokina from September 20 until Sept 28: Rhenania, Bayenstr. 28, 50678 Cologne. 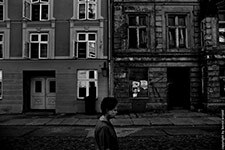 14 Visum photographers will present their latest work on 'International Photo scene Cologne' in the hall of the Rhenania Arthouse. The new serie The Zone is the second part of a new cycle (first part The Portal). 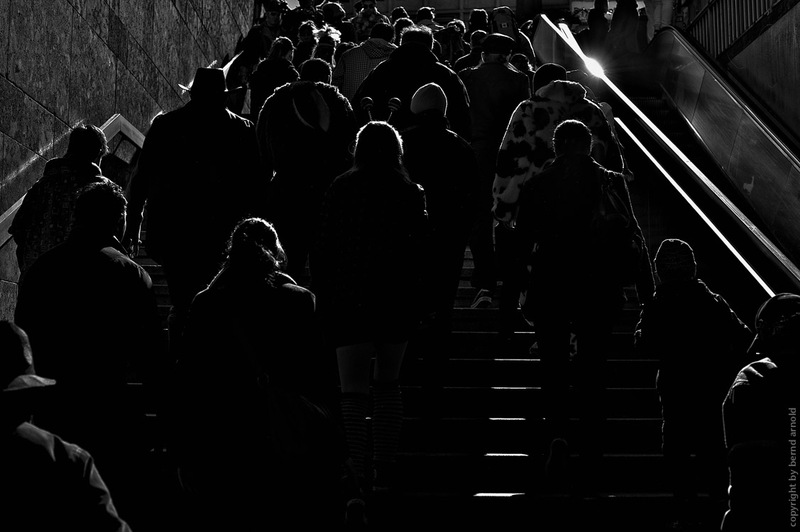 The new essay the zone moves on the courses of glory and happiness. 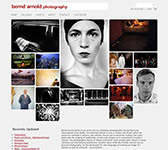 This pictures will be exhibited the first time during the Photokina. Sept 20, 2008, 8 p.m. Vernissage; Mon-Fri 3 - 8 p.m; Friday Special: 8 p.m. CD Release Concert featuring Frank Wingold (git) and Martina Gassmann (voc); Sat, September 27. 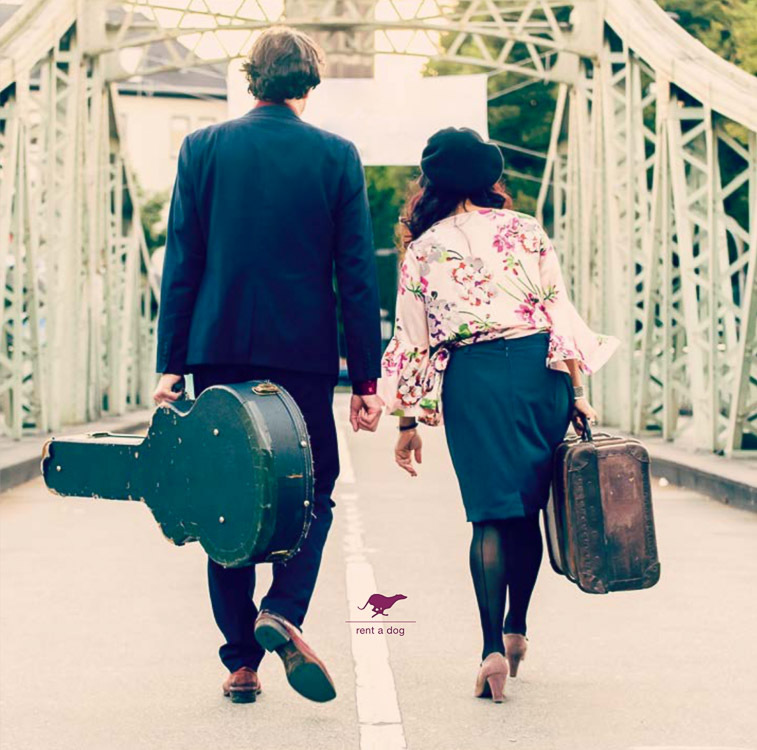 Finissage and Special Jazz Jam-Session. during the UN Convention on Biological Diversity, CBD 2008 in Bonn. During the convention Greenpeace demonstrated in the early morning. 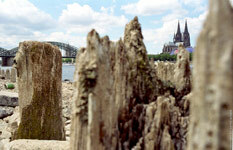 About 50 activists set ablaze a tree stump from the Amazon rainforest, on the Rhine River. 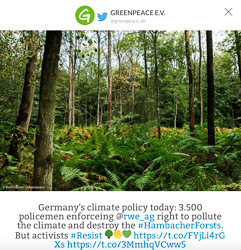 Greenpeace is demanding 2 billion Euro per year from the German government to protect the last remaining ancient rainforests. 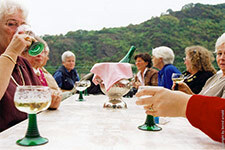 In the south of Cologne the studios of many artists will open all day long at May 18, 2008. 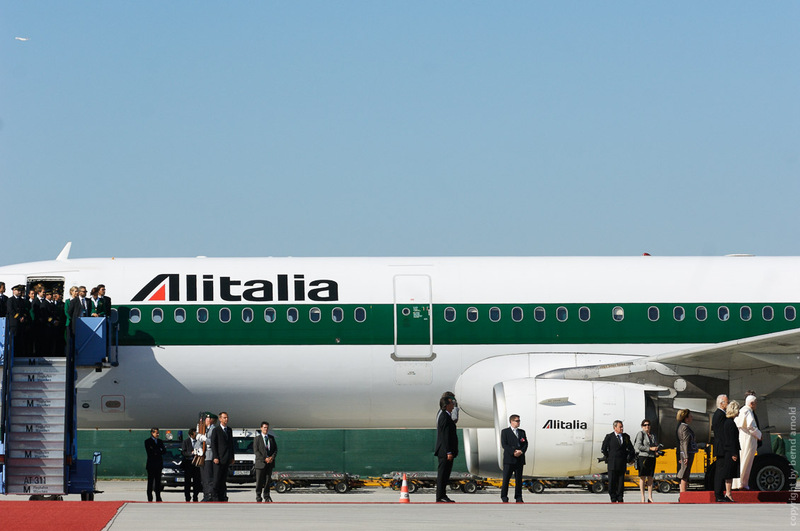 The photographer (see on the right side) will welcome you in his accustomed friendly manner. More info about the artists house Kunsthaus Rhenania. 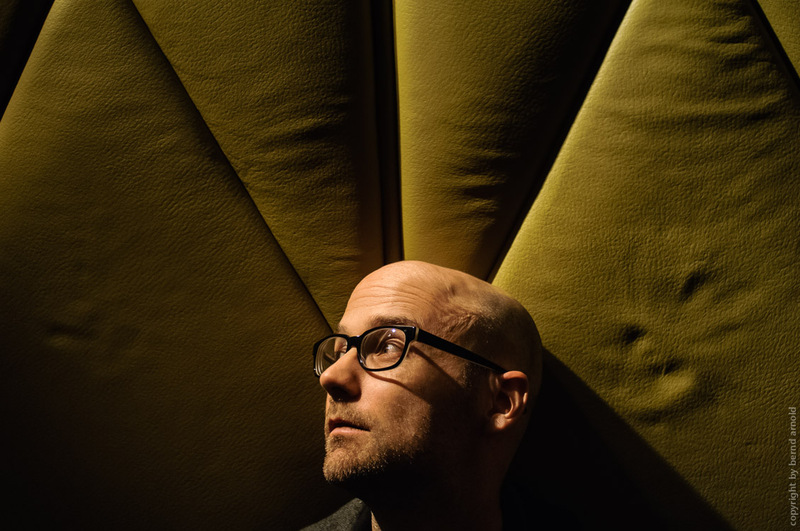 The New York based musician and producer Moby published in NZZ am Sonntag. 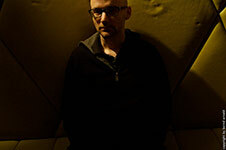 The New York based jazzpianist Jim Beard photographed for his new CD "Revolution". 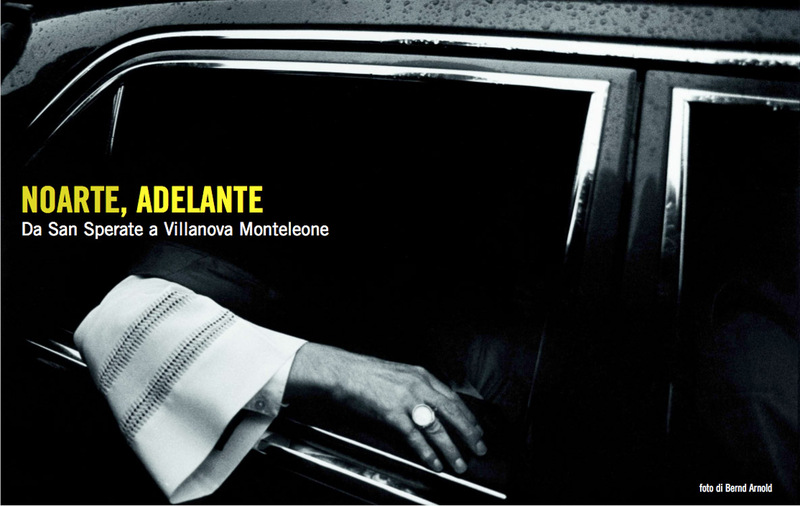 will be shown at the Museo Su Palatu in Villanova/Sardegna. The exhibition will be open until january 2008. 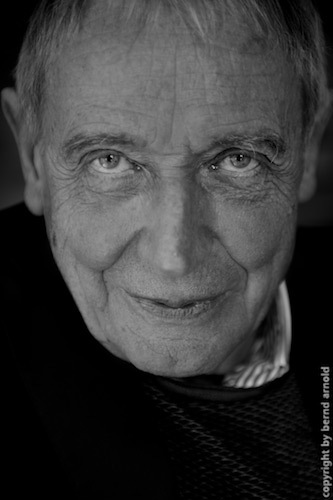 Other artists are Mario Dondero, Attila Kleb, Judith Horváth, György Stalter & Judit Horváth. 24.11.2007-27.1.2008 in SU PALATU Villanova Monteleone, open tue-sun 16-20h. 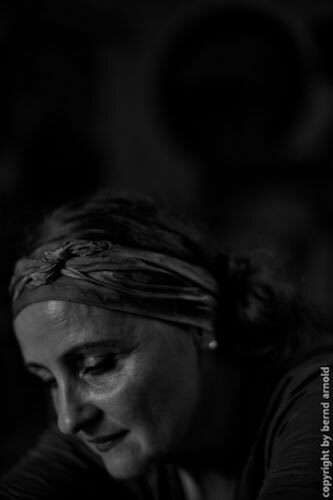 POWER AND RITUAL will be shown at the NoArte Festival in Museo del Crudo in San Sperate/Sardegna. The exhibition will be open till november 2007. 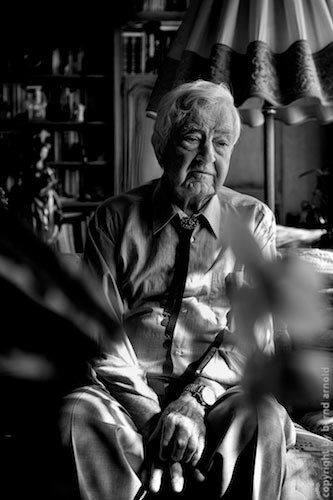 Other artists are Attila Kleb and Mamikon Yengibarian. A documentation about daily life and work of Sal. 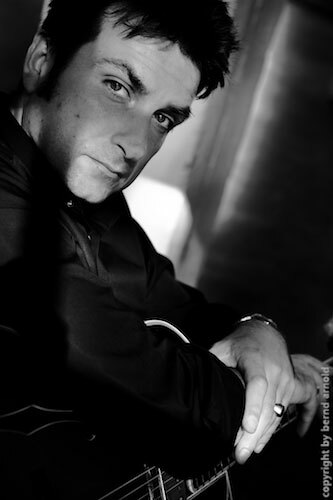 Oppenheim in Prague, Frankfurt, Luxembourg, Zurich and Cologne. A collection of black and white images captures the most diverse ceremonies and rituals: religious, profane, political and nonsensical. 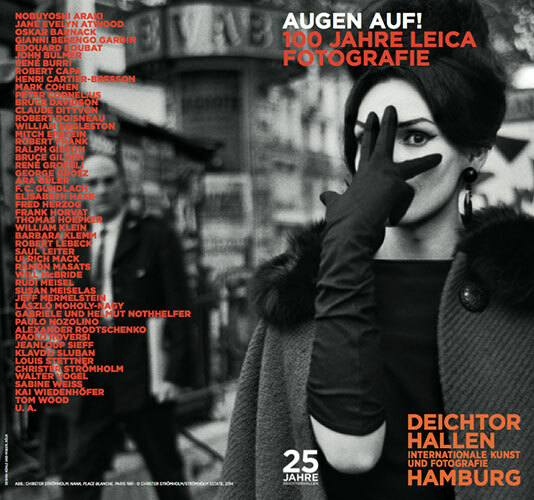 The exhibition will be in Landesvertretung Rheinland-Pfalz in Berlin under patronage of Leica Camera AG. The exhibition will be open from the 15th of July until the 26th of August 2007. Landesvertretung Rheinland-Pfalz, In den Ministergärten 6, 10117 Berlin. Daily 10-20h. Is our world a telly? A collection of black and white images captures the most diverse ceremonies and rituals: religious, profane, political and nonsensical. The Catholic church is seen as a system of salvation, politicians as purveyors of rhetoric and the media as a tool to manipulate consumers... 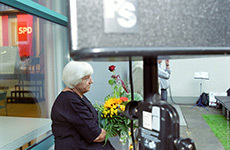 The exhibition shows an undistorted reflection of the exploitation human vulnerability. The exhibition will be open from the 15th of March until the 17th of May 2007. TüV Rheinland Forum, Shin Yokohama Daini Center Bldg. 1F, 3-19-5 Shin Yokohama, Kohoku-ku, Yokohama 222-0033. 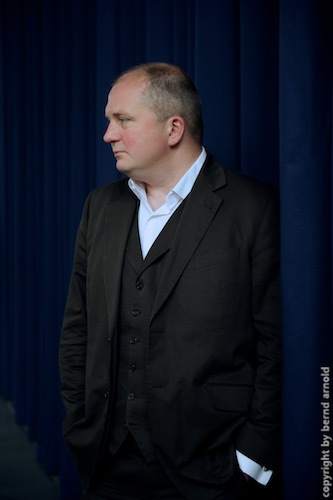 Under patronage of Goethe Institut and Curator Gero Furchheim. "To say that classic, analog photography registers the surface of the visible world with astounding precision is no doubt correct in a physical sense. But it probably does not mark the boundaries of a camera art that claims, as it were, to look "behind the scenes". 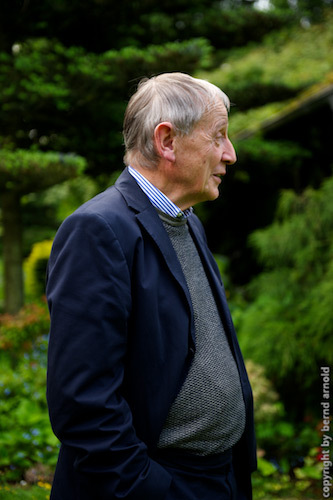 This is exactly the intent of photographer Bernd Arnold from Cologne, whose particular concerns are those fields where conscious acting, the deliberate donning of a mask, is, in a manner of speaking, a "sine qua non". 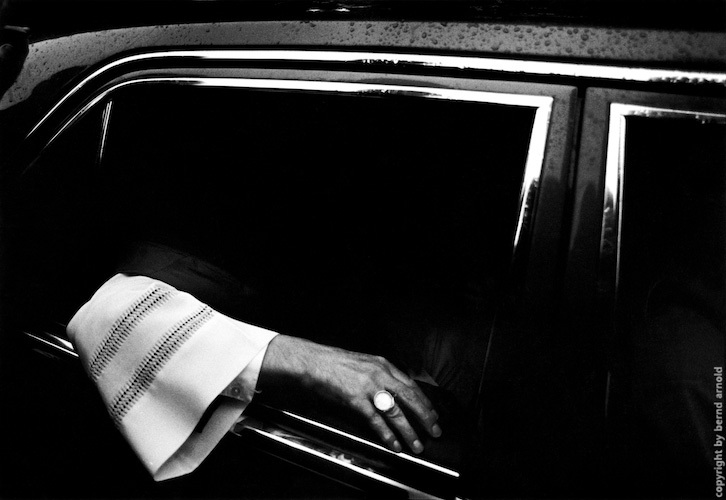 To begin with, Arnold was interested in the rites and rituals of the Catholic church, but rapidly extended his radius to the fields of politics and media and - using a black-and-white photographic form that is as intelligent as it is atmospherically dense-showed how critical documentary photography might look today." 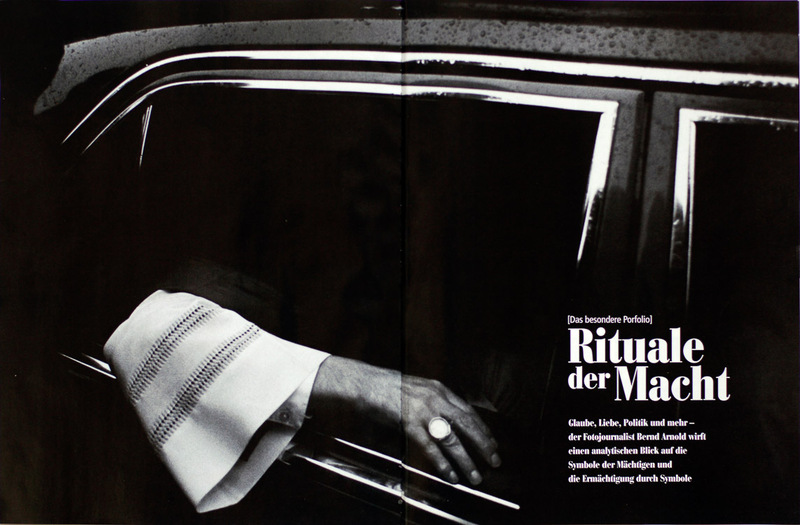 Michael Koetzle about 'Macht und Ritual' cycle, 1986-2004. 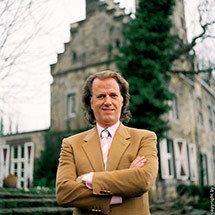 André Rieu in front of his castle. 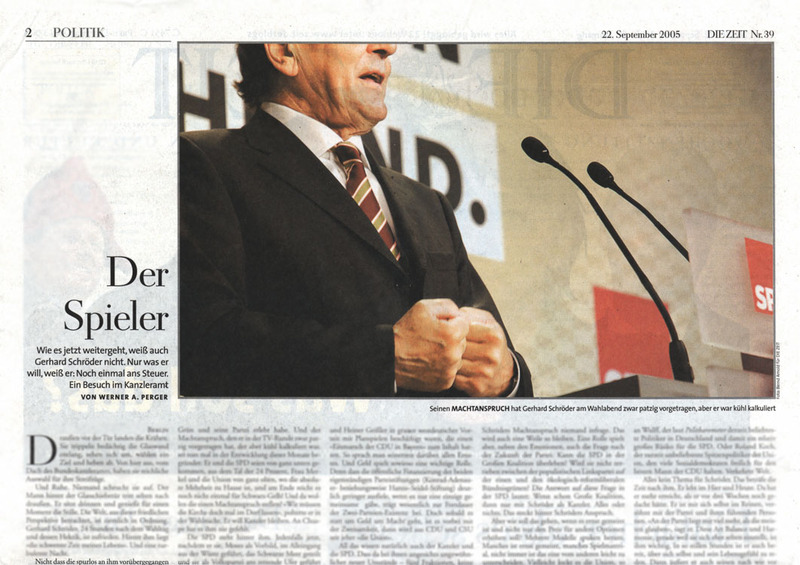 Published in Neue Züricher Zeitung. 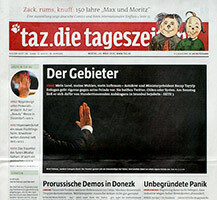 Moderator Katrin Bauerfeind of web based tv show "Ehrensenf" published in taz. 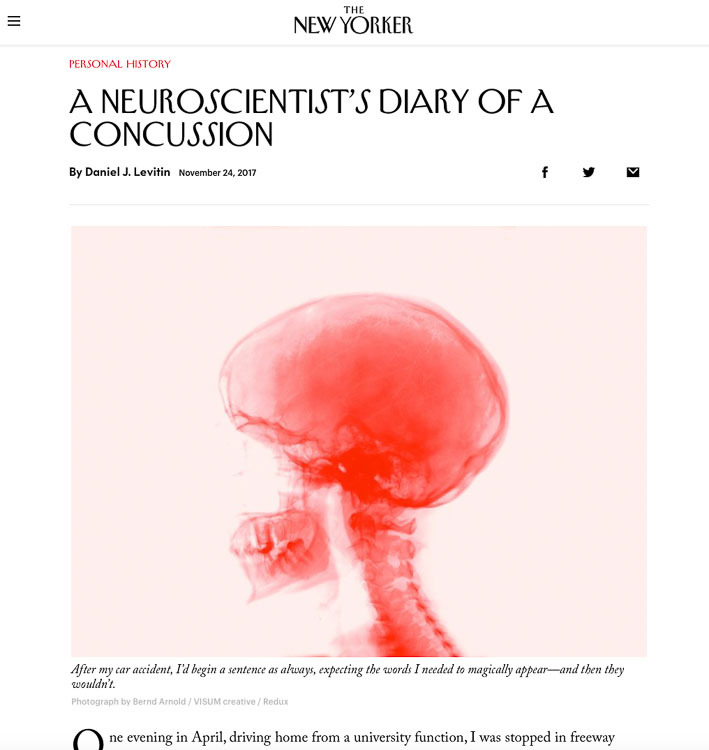 new story on this site. The interface between the secular and the sacral. 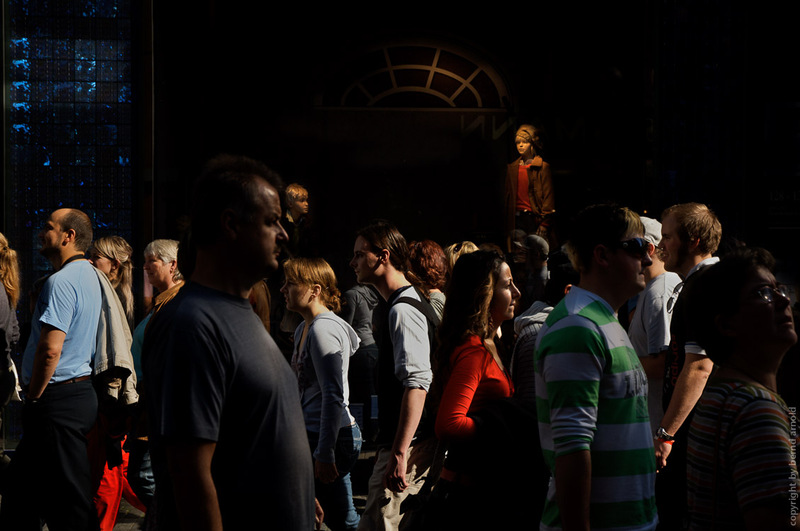 Since 500 years people at the West Portals of Cologne Cathedral move on the threshold between the worlds..."
in Bavaria, Germany. 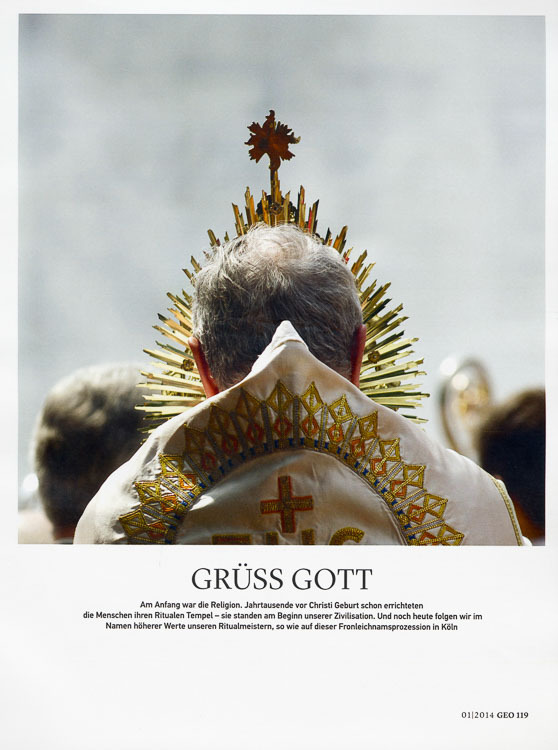 Take a look at the exhibition "Gott in Deutschland" during the Photokina, Cologne. Kunsthaus Rhenania, Rheinauhafen, 50678 Köln. 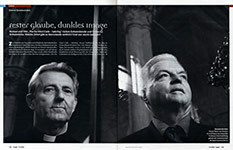 Opus Dei published in CAPITAL 11/2006, a portrait of two members of Opus Dei. 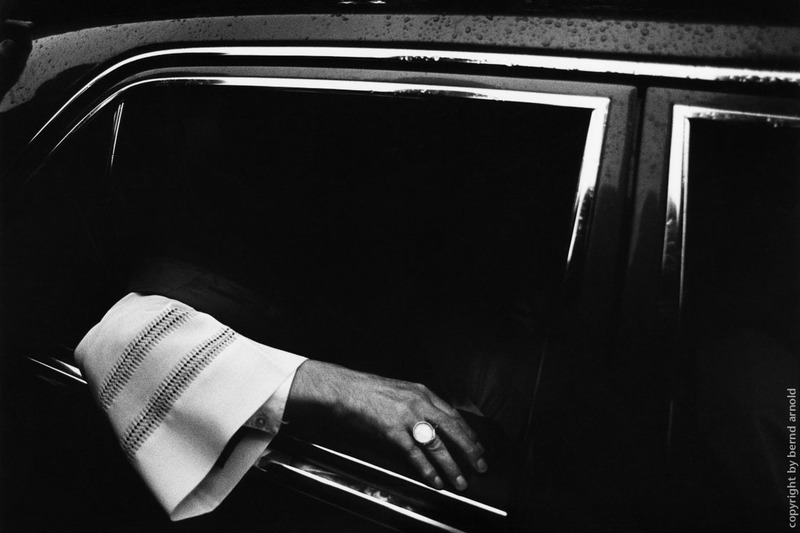 This exhibition presents the german photographer Bernd Arnold. 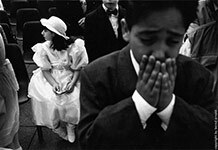 His collection of black and white images captures the most diverse ceremonies and rituals: religious, profane, political and nonsensical. The Catholic church is seen as a system of salvation, politicians as purveyors of rhetoric and the media as a tool to manipulate consumers... 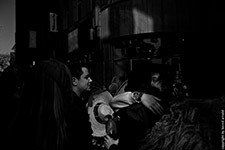 The exhibition shows an undistorted reflection of the exploitation human vulnerability. Kölnisches Stadtmuseum Zeughausstr. 1-3, 50667 Köln. 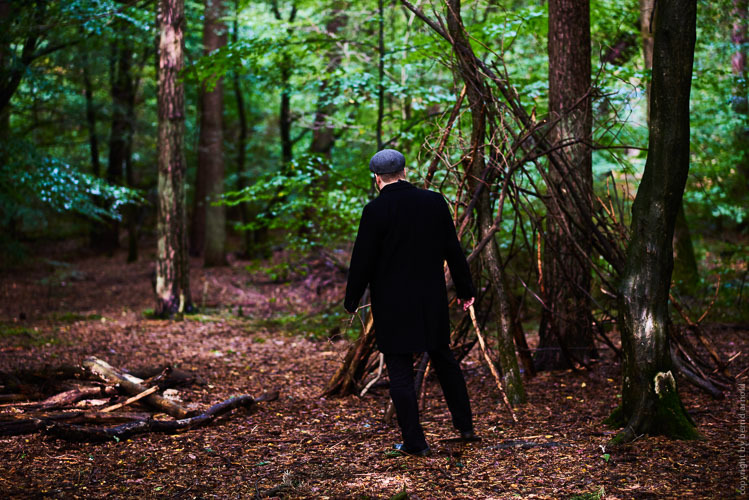 In cooperation with van der grinten galerie. The exhibition will be open from the 4th of March until 2nd of April 2006, Tue 10am. to 8pm and Wed-Sun 10am to 5pm. 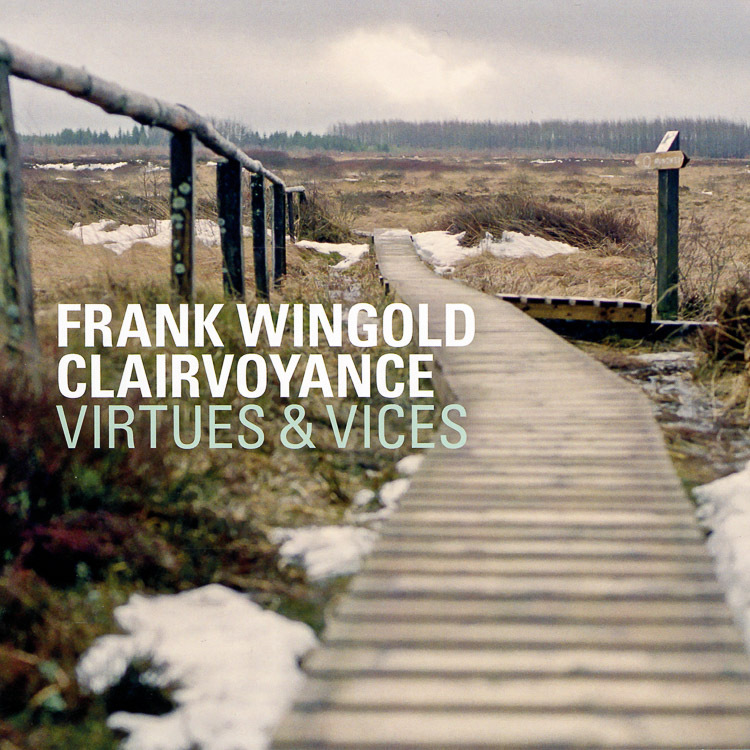 CD Cover and Booklet about the Quartett of jazzguitarist Frank Wingold. 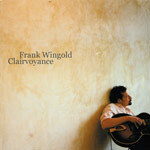 Published by Konnex-Records 2005. Election campaign rituals 2005 The german election campaigns for the Bundestag are an ideal occasion to explore strategies of production and self-production across all political parties. 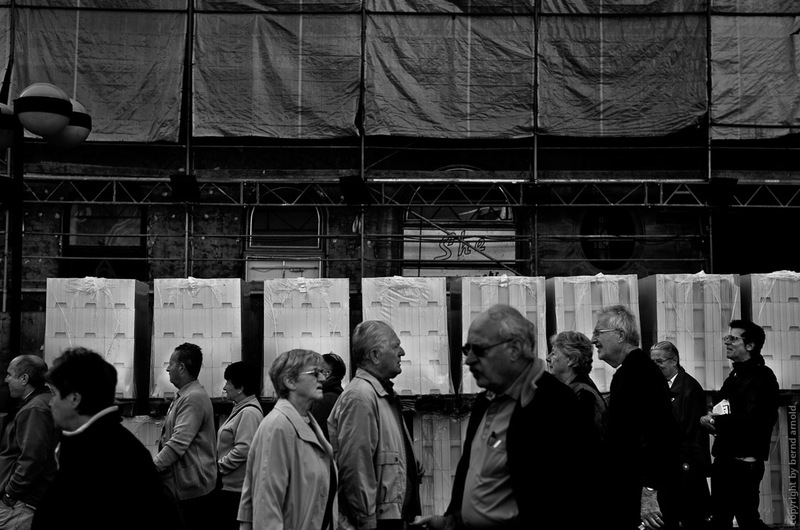 The idea behind the exhibition "24x30" was to mark the 50th anniversary of the Leica rangefinder system. Put together by Hans-Michael Koetzle, editor-in-chief of the Leica World magazine, the photo exhibition will present about 70 works of 19 international photographers. 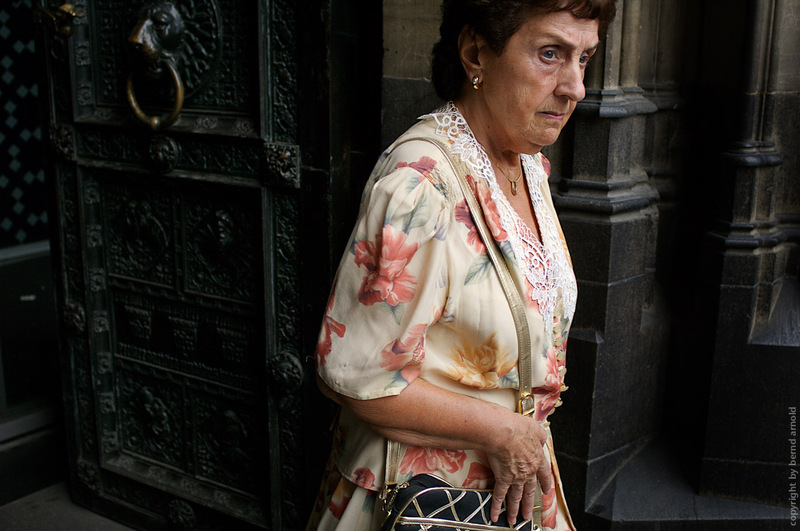 The selected photographers - including Jane Evelyn Atwood, Bruce Gilden, Jeff Mermelstein, Tomasz Tomaszewski, Alex Webb and Tom Wood. 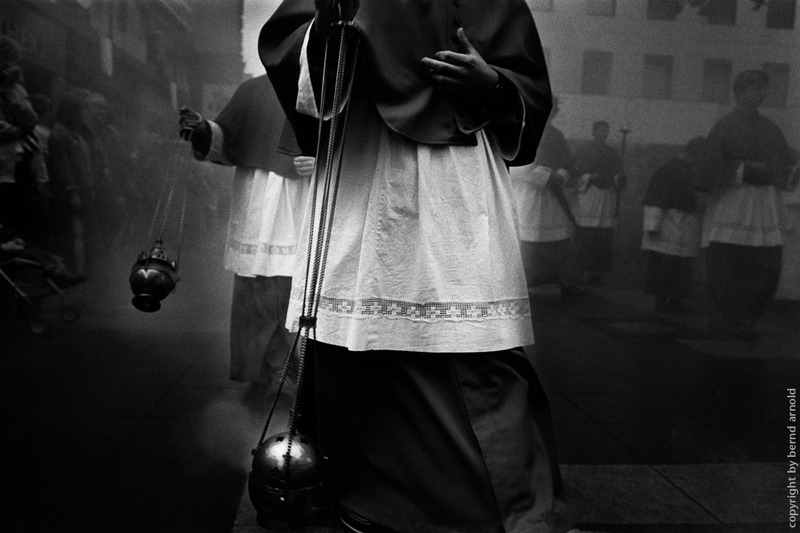 Some photographs from the essay "Power and ritual" will be exhibited in New York. Leica Gallery New York / 670 Broadway / New York City 10012 / Tel. 212.777.3051 on Thursday, September 8th, 2005 / Reception 6-8 pm. The show is running through October 1, 2005. 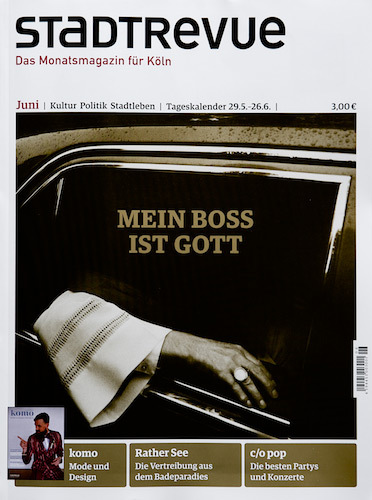 Two reportages will be exhibited from 16.6.-10.7. in Mannheim/Ludwigshafen Germany: "Zone Bismarckstrasse" and 30 photographs of "Power and Ritual". 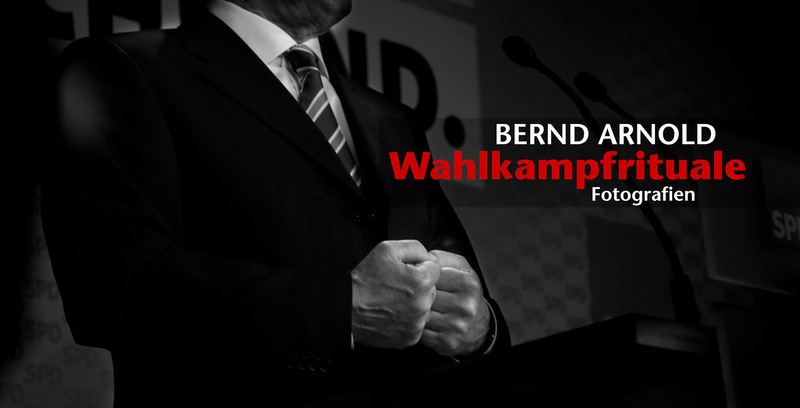 of the social democrats in Germany. 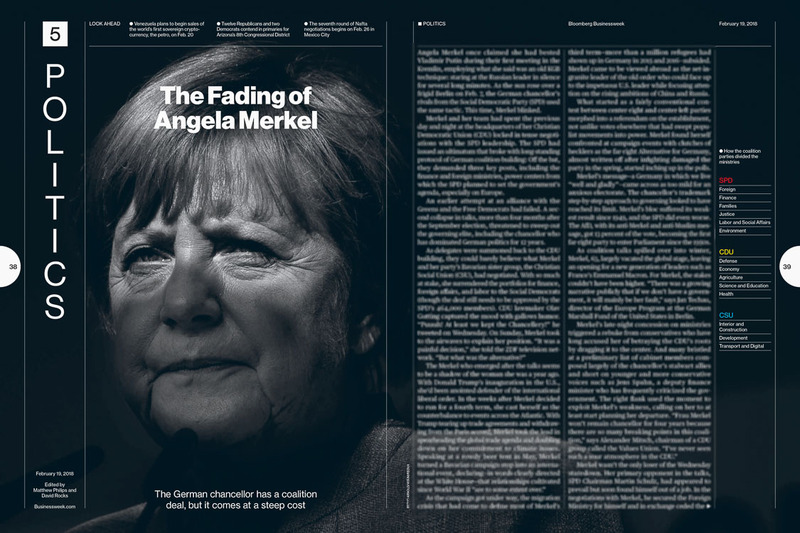 A reportage about the decline of german socialists for STERN magazine. 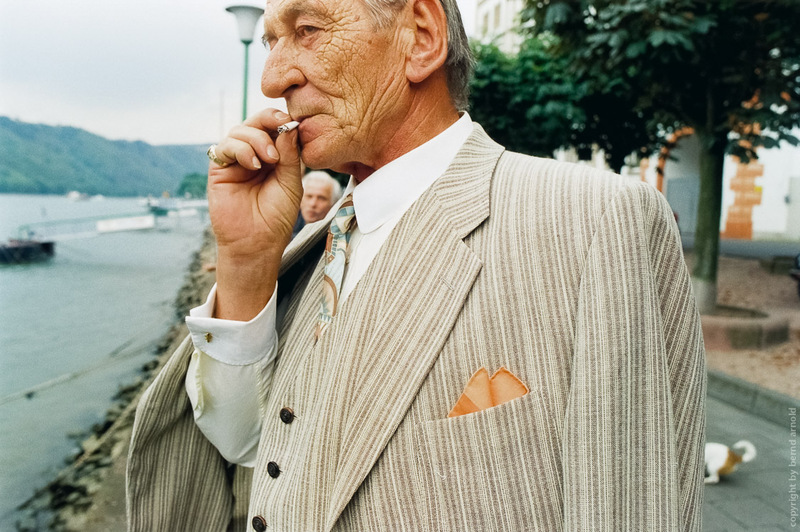 This exhibition presents the german photographer Bernd Arnold. 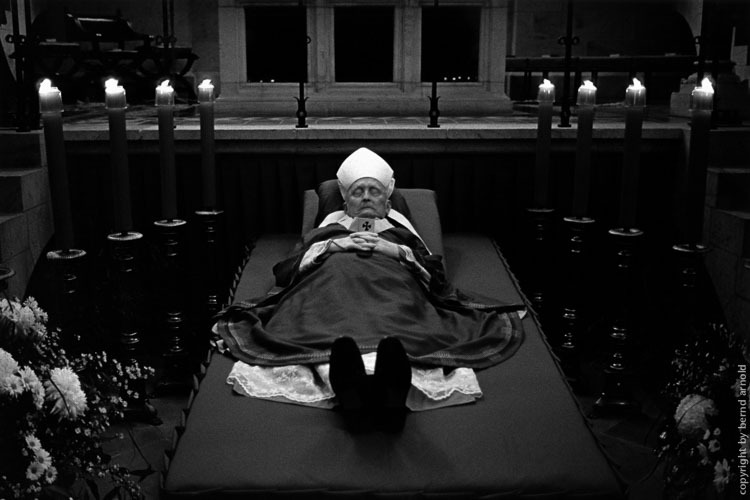 His collection of black and white images captures the most diverse ceremonies and rituals: religious, profane, political and nonsensical. The Catholic church is seen as a system of salvation, politicians as purveyors of rhetoric and the media as a tool to manipulate consumers... 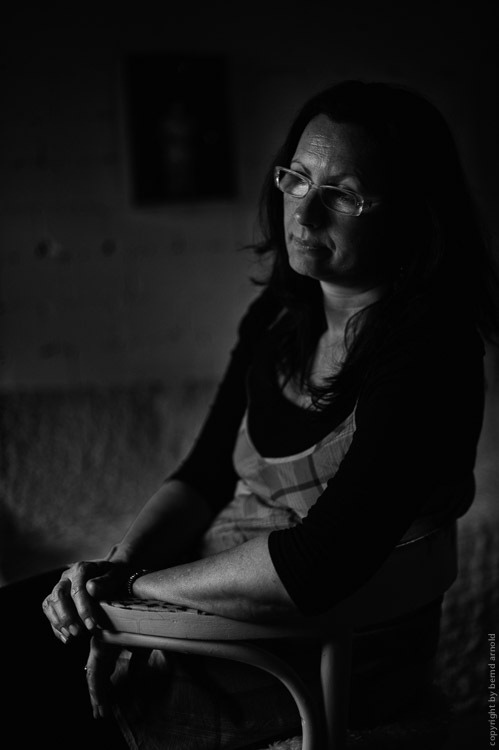 The exhibition shows an undistorted reflection of the exploitatio n human vulnerability. 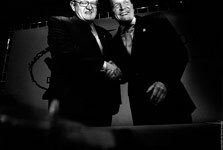 Akribie - Materialien zur Findung des wahren Kanzlers. 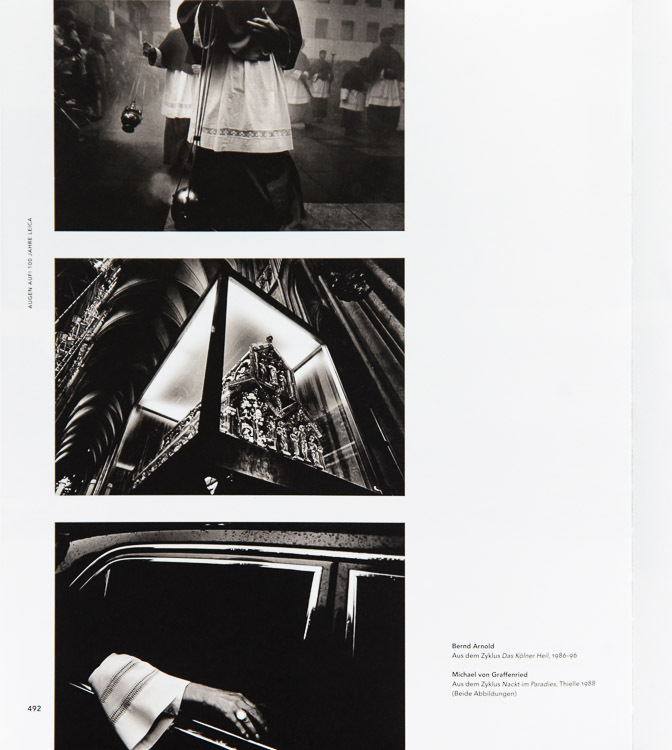 A special for the exhibition Power And Ritual, contact sheets will be exhibited in the Goethe-Institut Prag. 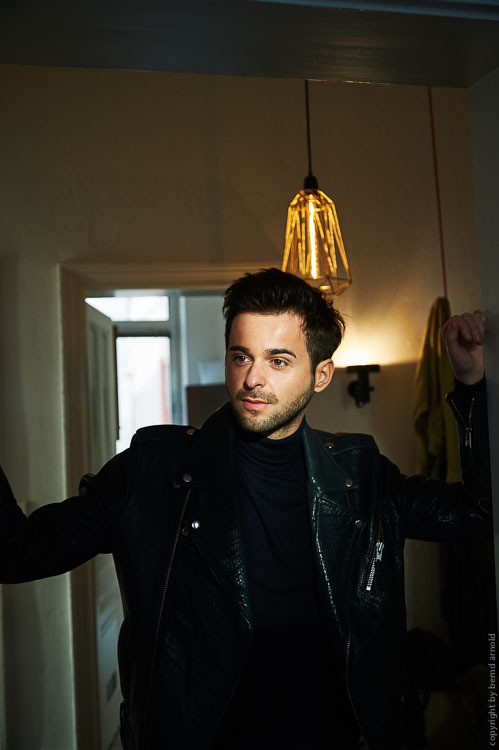 GEO magazine. 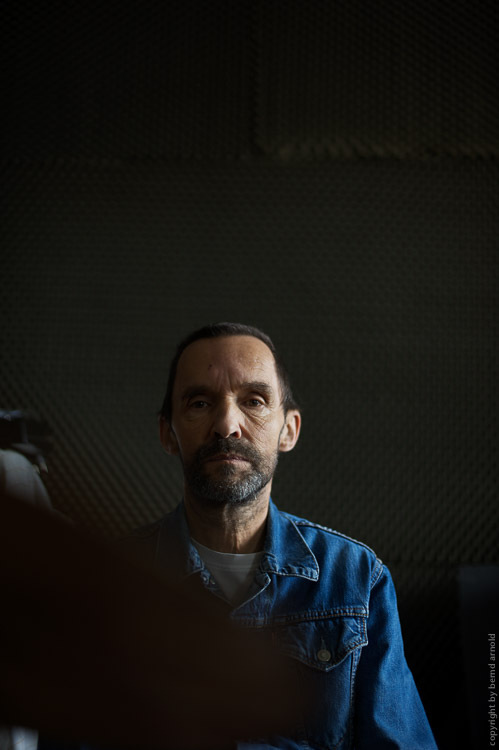 A reportage about a musician group, where some of them are homeless people. Exhibition with the artists of the Van der Grinten Galler. Van der Grinten Gallery Opening Oct 29, 2003, van der grinten gallery, Schaafenstraße 25, Köln, Tue-Fri 13-18h und Sa 11-16h. 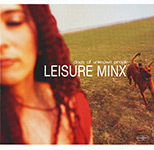 CD-Cover and Booklet of the band Leisure Minx with Frank Wingold(guitars), Martina Gassmann (vocals), Tobi Lessnow (drums) and Konstantin Wienstroer (bass). 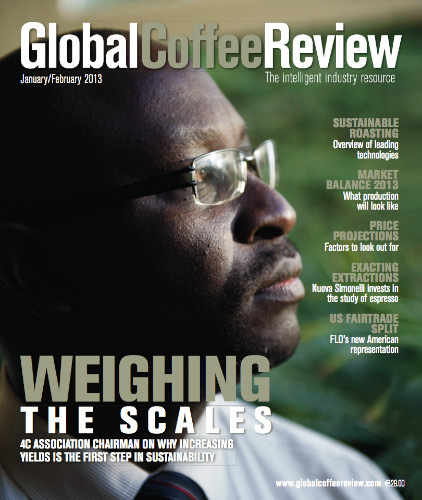 Coverdesign by BABELgum and Make-up Art by Elke Kim. Published by BOS.REC. 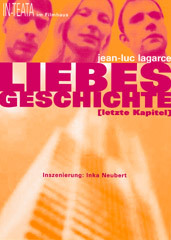 CD Presentation: Oct 28, 2003, Stadtgarten, Cologne. 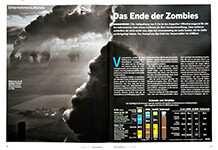 Drought in the Rhineland for magazine STERN. Images against war at the Gallery Lichtblick. 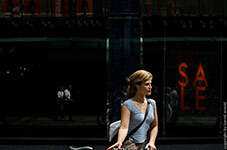 With contributions of 423 photographers. An Iraqi child. The boy was heavily injured by an american bombing raid (golf war I) and taken to a german hospital for rescue. Doctors arewatching his healing progress. Gallery Lichtblick Exhibition from 2/28 to 6/7/2003. Steinbergerstr. 21, Cologne. 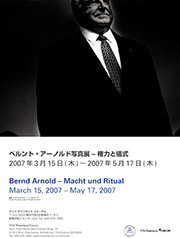 For years Bernd Arnold has been dealing with Power and Ritual of public events. 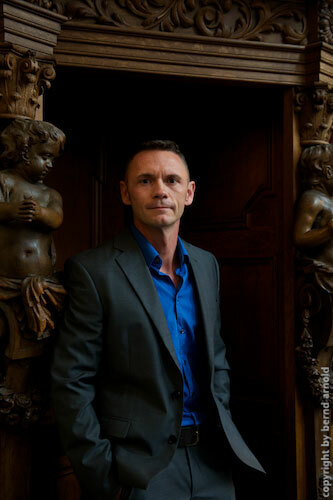 He started his research about behavioural attitudes in different contexts of society with a documentation of catholic ceremonies in cologne (compiled in the book Das Kölner Heil). 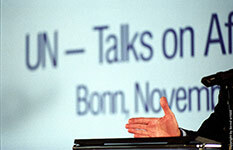 Following topics were the politicians' strategies of a medium-effective self-production during the German democratic election campaign in 1998 and the world economic summit in 1999. Further on he examined the defining rituals in the world of pimps and prostitutes as well as the production of television sceneries bringing up the question: Is our world a telly? (Ist die Erde eine Mattscheibe?). What brings these stories together is the metaphysical level of power: the believe. Hierarchy and unity of socially relevant groups are manifested continuously through the existential longing for this believe. 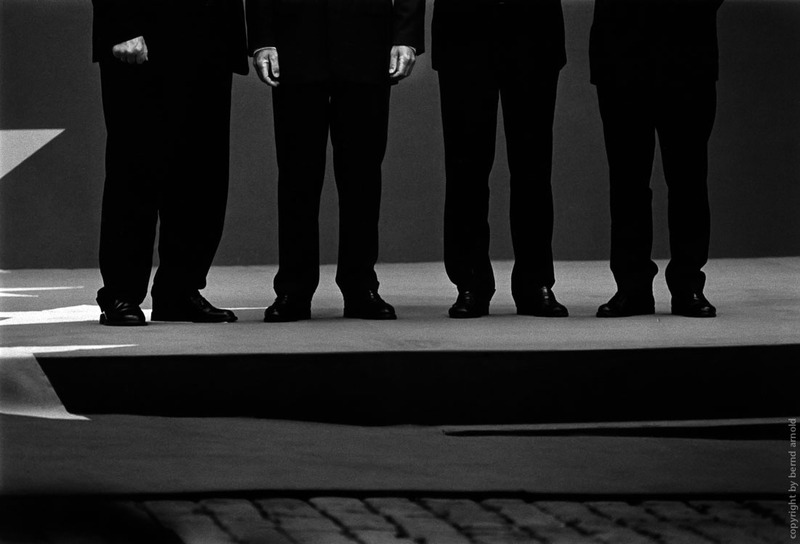 In his very specific and individual photography Bernd Arnold lights the precisely calculated gestures of the actors of these public manifestations and succeeds in reflecting the aspects of power and its fascination. 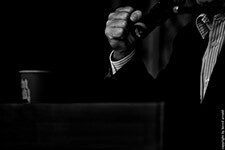 First time in LEICA GALLERY TOKYO will show this work from 10/2 to 11/4/2002 in Matsushima Gankyoten 3 F, 3-5-6 Ginza, Chuo-ku, Tokio 104-0061. 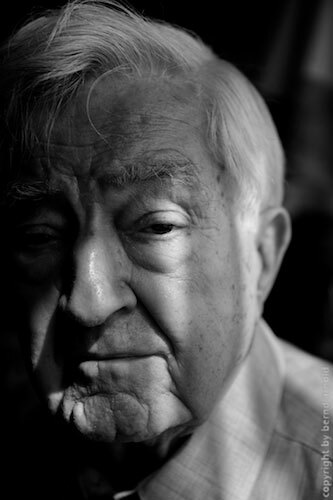 The portrait is one of the classic topics of photography. The challenge of catching hold of a part of the nature of the model and displaying it, of documenting reality, of making someone immortal, of keeping a memory - these are ever returning motives to this subject. 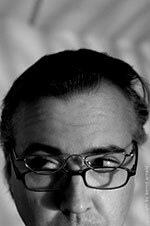 Among others with Alvarez Bravo, Harold Chapman, Horst P. Horst, Philippe Halsman, George Hurrell, Willy Maywald and Bernd Arnold. Gallery for Contemporary Art Düsseldorf, Achenbachstr. 141, until Feb 15, 2002. International photographers' vintage-photographs from the 20th and 21th century. Press briefing by Ahmad Fawzi, speaker of UN special envoy L. Brahimi. Bonn, Königswinter Nov 26, 2001 for DIE ZEIT. 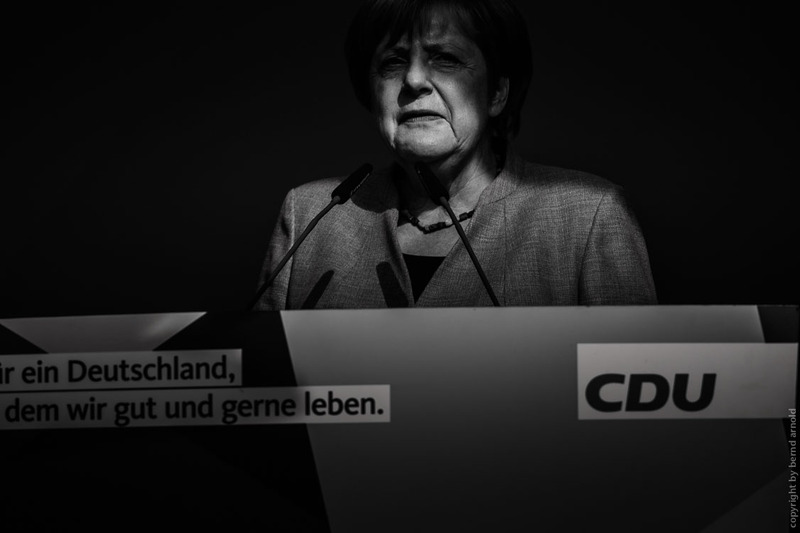 By the title "Verkaufte Ideale, Betroffenheitsfotograf oder Werbeknecht?" ("sold ideals, photographer of affection or slave to advertising?") renowned speakers discuss photojournalism between wish and reality. 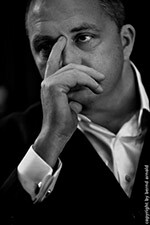 On the podium will be among others: Bernd Arnold, photographer. 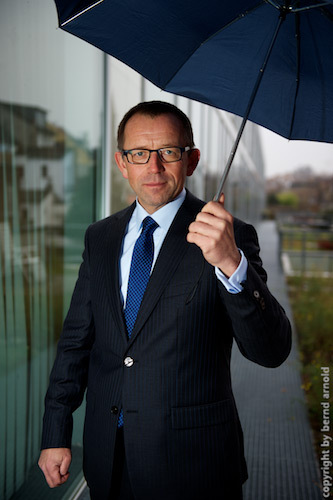 Lutz Fischmann, manager of FreeLens. 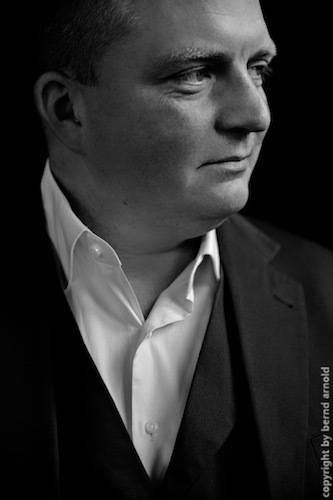 Manfred Heiting, collector and curator. 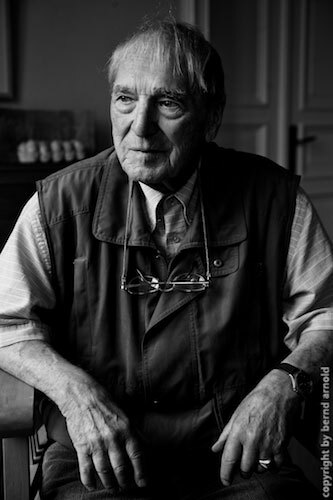 Hartmut Nägele, photographer, Prof. Dirk Reinartz, photographer und professor at Muthesius Hochschule Kiel. 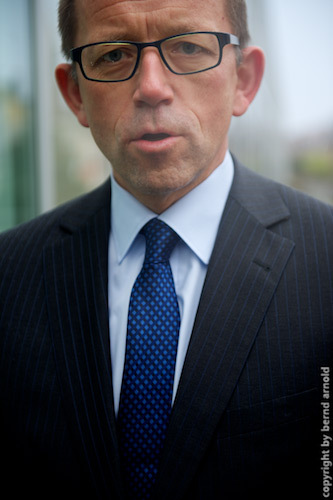 Bernd Weise, manager of BVPA. 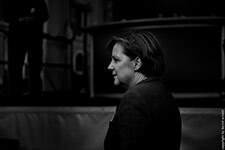 Moderation: Christiane Gehner, DER SPIEGEL. The symposium is divided into two parts: In the first part two lectures shall give an insight into photojournalistic history and the use of journalistic photography in business communications. In a following panel discussion key aspects of photojournalistic work and its publication will be treated. 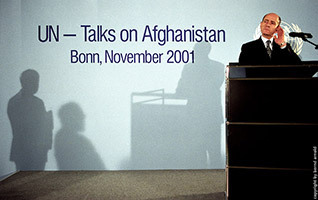 October 20, 2001, Herten Castle. Content of the play: Two men, a woman and a reunion. It is the story of three, telling each other the story of their love and their breakup. Memories and fiction are mixing. The "love story" becomes a book, a fairy tale, a play. At times one might think that the characters were still finishing their thoughts as they already talk. Pictures from the past are summoned, corrected and flow away again. Directed by Inka Neubert. 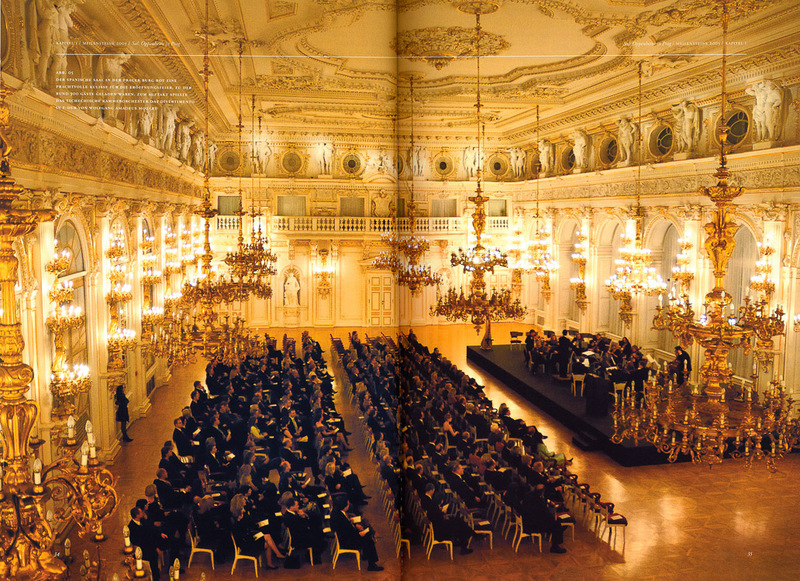 Stage design and photography by Bernd Arnold. 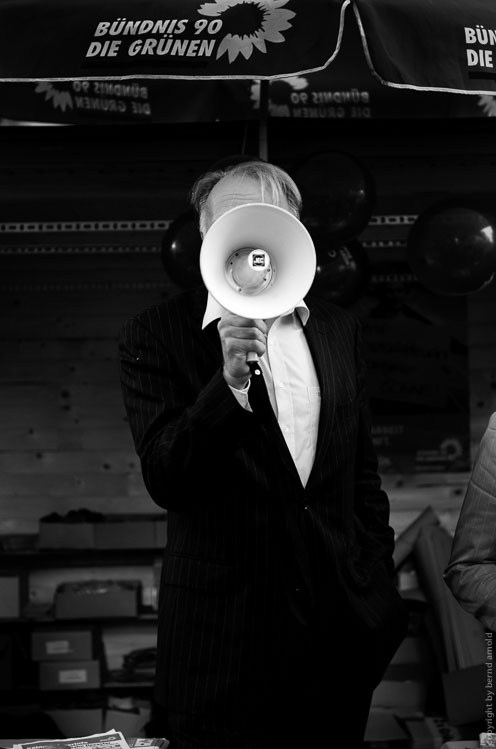 Performance by Christian Bergmann, Hanno Dinger and Stefanie Mühle. Premiere Oct 17, 2001 at the Kölner Filmhaus. Further shows: Nov 14 to Nov 18, Dec 12 to Dec 16, Jan 16 to Jan 20, Feb 27 + Feb 28, Mar 1 + Mar 3, 2002. Opening Sept 27, 2001, Glashaus. This year the main geographic emphasis lies on Europe. 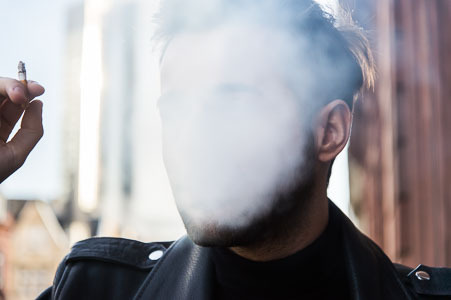 Curators from all european countries are asked to formulate positions to young photography in their country by the title Visions of Europe - young contemporary european photography. 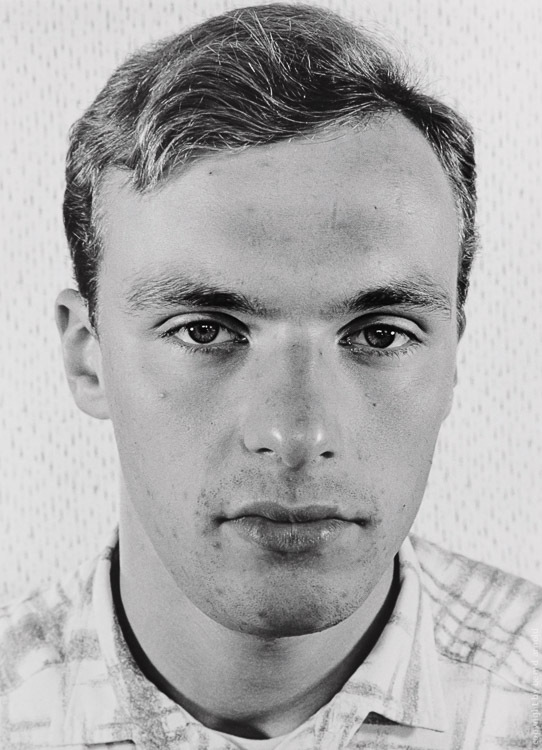 A collective exhibition of young german photography also originated in this cycle titled "Denk ich an Deutschland..." ("Thinking of Germany..."), thoughtfully and critically concerning german realities. 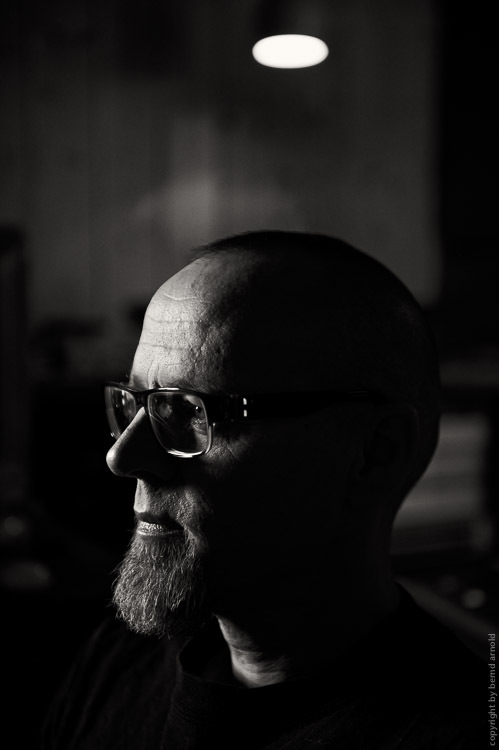 Among others there are projects of Bertram Kober, Johannes Backes, Bernd Arnold (Cycle Power and Ritual), Hans-Christian Schink, Thorsten Futh, Bettina Flitner. 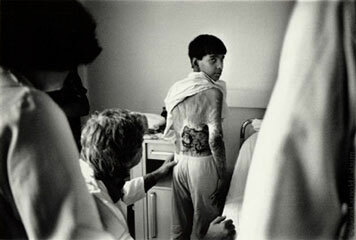 Photographs about the "forgotten" topics of HIV and AIDS. 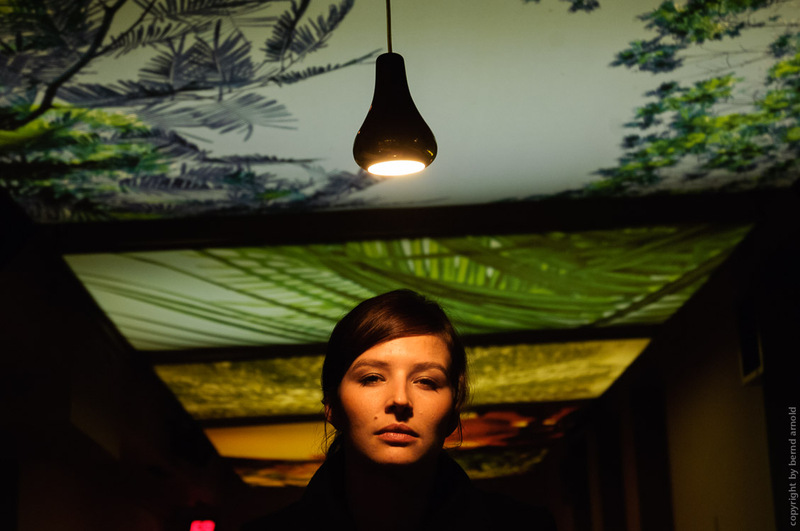 Four renowned Cologne galleries are participating in the Kulturprogramm Lebenshaus. Displaying different artistic positions, the exhibition shows the social relevance and the relationships between the topics love, sexuality, life, survival and death. Involved are Keri Pickett (Minneapolis), Andrej Barov (Munich), Steve Hart (New York), Bernd Arnold (Cologne, Morgue - Franz van der Grinten), David Wojnarowicz (New York), Roger Lips (Cologne) und Vincent Allen W (New York). 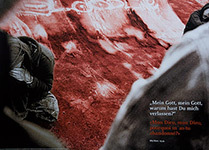 Fri, June 29 to Sun, June 15, 2001, exhibition hall Alte Feuerwache, Cologne. 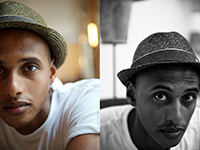 Photographic portraits. 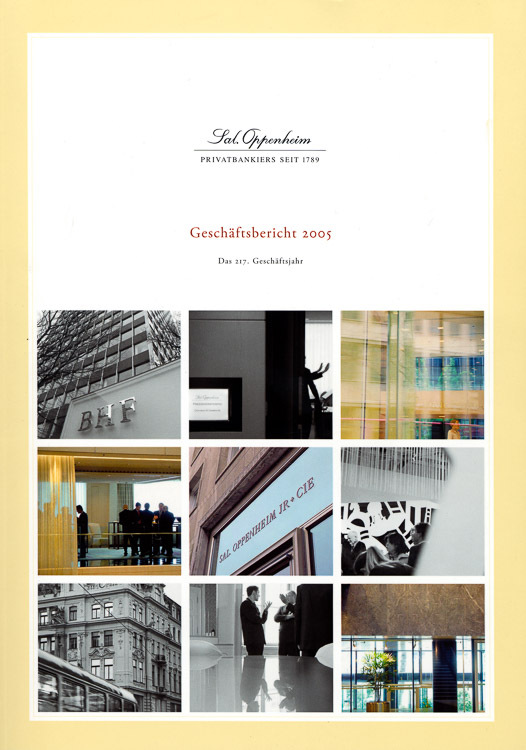 An exhibition project with Büro für Fotos. 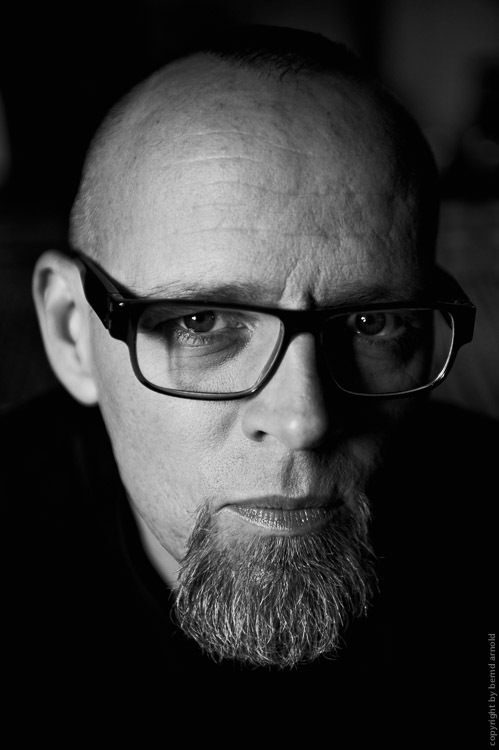 Participants include Franz van der Grinten and Rebecca Lewis. Leinfeld-Echterdingen. 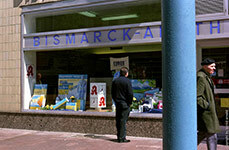 Vernissage on April 28, 2001. 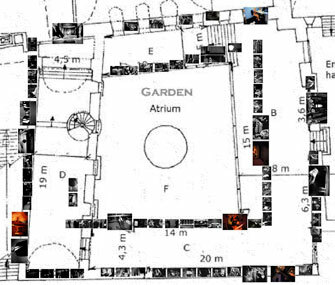 Duration of the collective exhibition: 4/28 to 6/3/2001. At the international fair (for editions, photography, Art Brut, arts after 1960) the Van der Grinten Gallery (formerly known as Büro für Fotos) shows works from the series "Macht und Ritual" ("power and ritual"), besides works of Rebecca Lewis and Karin Apollonia Müller. Photoagency Zeitenspiegel awards Gabriel-Grüner-Scholarship. 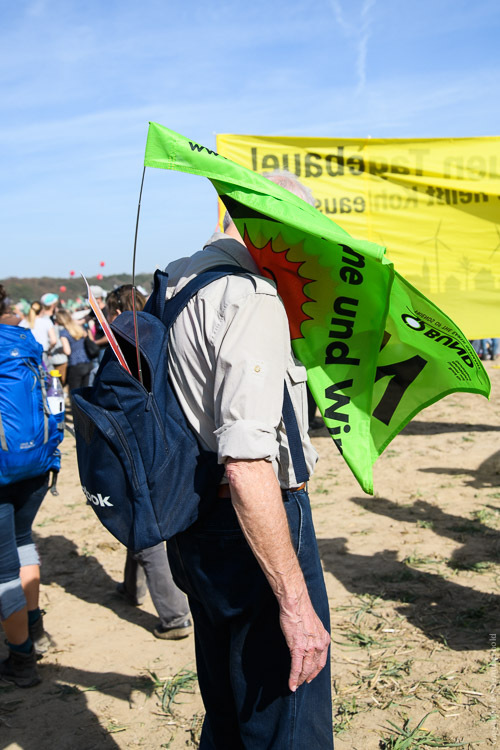 The journalist Guido Eckert and the photographer Bernd Arnold receive10.000 Marks prize for the realization of a promising idea of a report named "Menschen am Rhein" ("people at the Rhine river"). 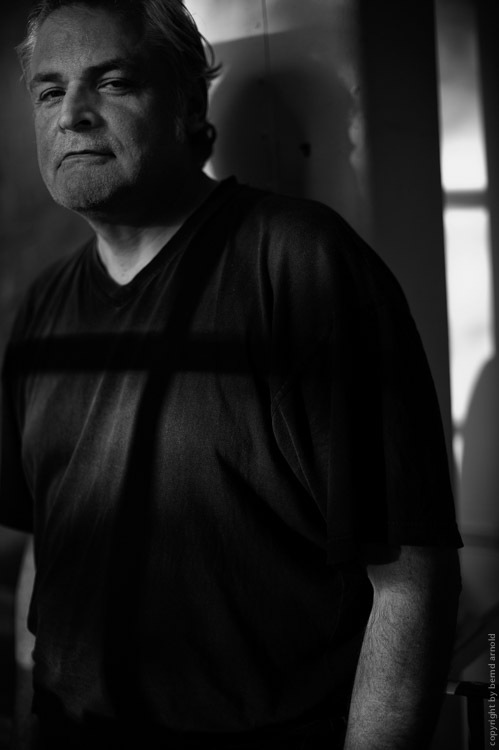 The agency uses the scholarship to remind of their long-term friend Gunter Grüner as well as of "Stern"-photographer Volker Krämer and the translator Senol Alit who were murdered in Kosovo in June 1999. 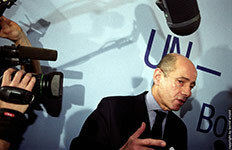 Jury members include leading editors and authors to "Spiegel", "Stern" and "Focus" magazines as well as Gilles Peres. 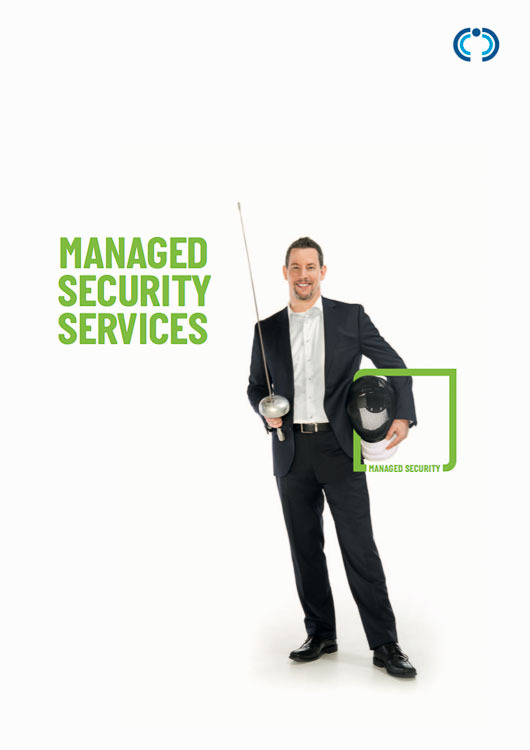 was created in cooperation with the advertising agency BOROS. 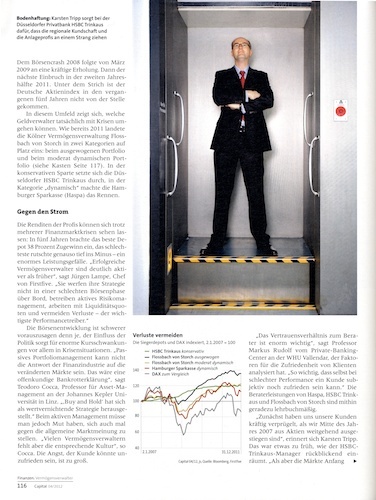 in the category photography was given to Wirtschaftsgipfel (economic summits). 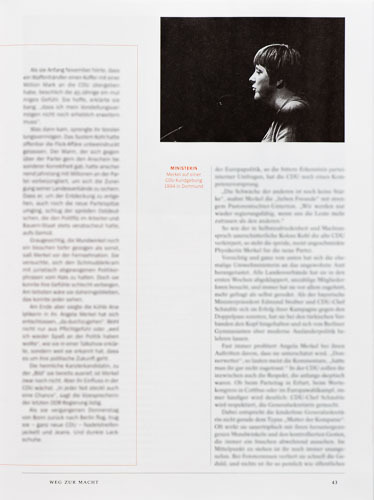 The photographic essay was created in 1999 in cooperation with the weekly newspaper DIE ZEIT and the gallery Büro für Fotos. It was exhibited there and updated daily. In the course of the 2nd Symposium of documentary photography in Bad Herrenalb the photographic essays Wahlkampfrituale and the serie Das Kölner Heil are exhibit from April 27 to May 17, 2000. Portraits from 100 years of photography. 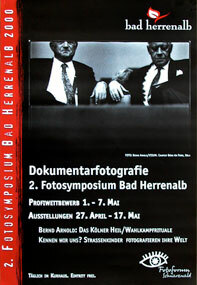 Exhibition at the Büro für Fotos, Cologne, April 8 to May 20, 2000. The way your opposite looks offers you the intrusion into his interior but it can also reflect your own look like a mirror and turn the one contemplating into the one being contemplated. 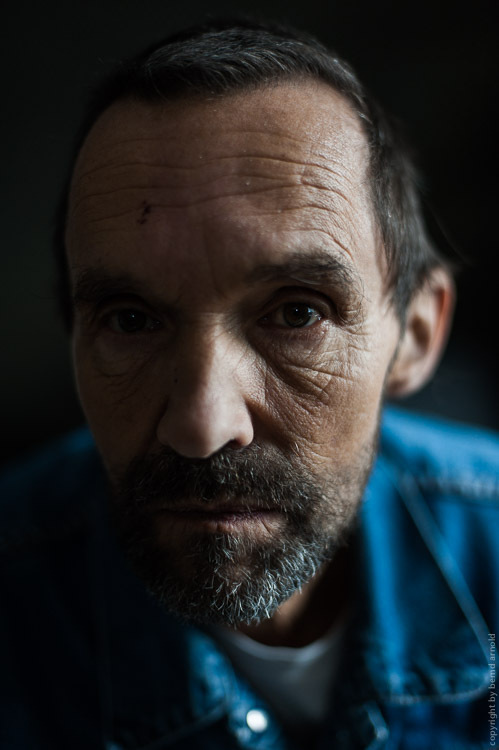 The most intense encounter takes places via contact of the eyes and what makes good portrait photography is standing up to this intensity: the tension between the luck of the moment and the sovereignty of the expression. The fact that the exemption of the hierarchy between author and model fills all of photographic history is subject of the exhibition. 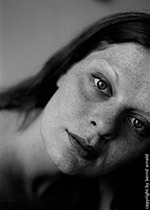 Part of the exhibition is Portraitserie-II 1985. 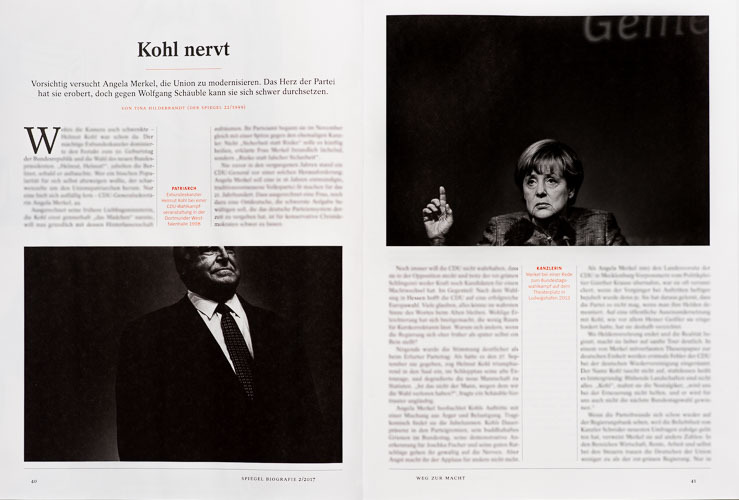 The portfolio "Election Campaign Rituals" was published in the first issue of Leica World on pages 54 to 61 and titled Choreography of Power. The story entered the final round of the top ten runners-up to the Oskar-Barnack-Preis 1999 and was shown in the evening show in the arena of Arles, France. 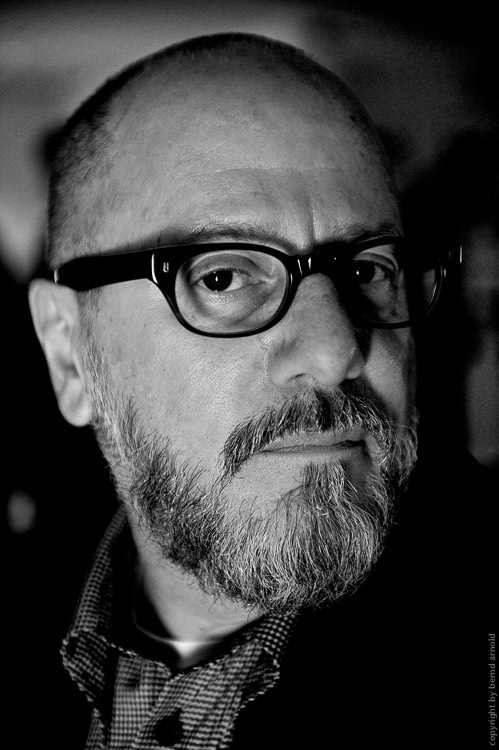 Other portfolios in Leica World are of Lilian Bassmann, Anton Corbijn, Franz Hubmann, Mike Meiré, Saul Leitner, Martin Parr and Francesco Guisti. Congratulation! Finally you have found the very first news! if you like to get some more in the future, please send your request by email.